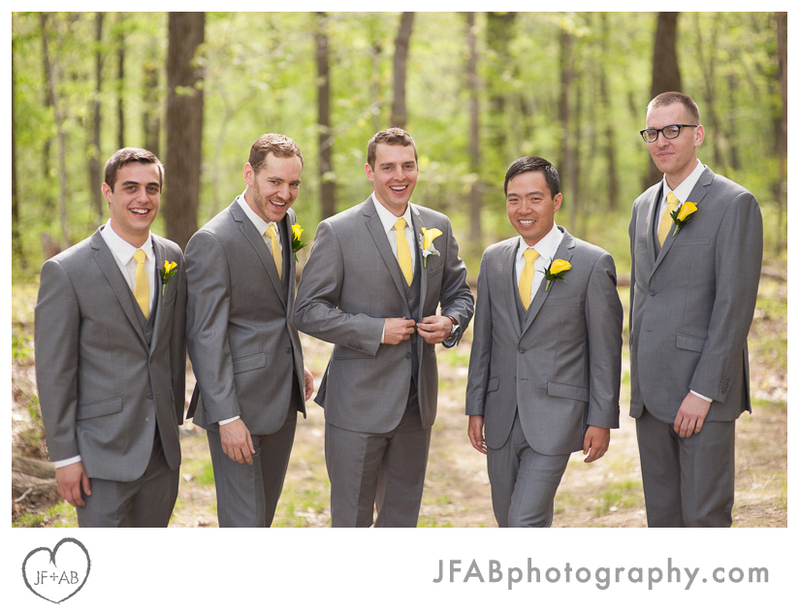 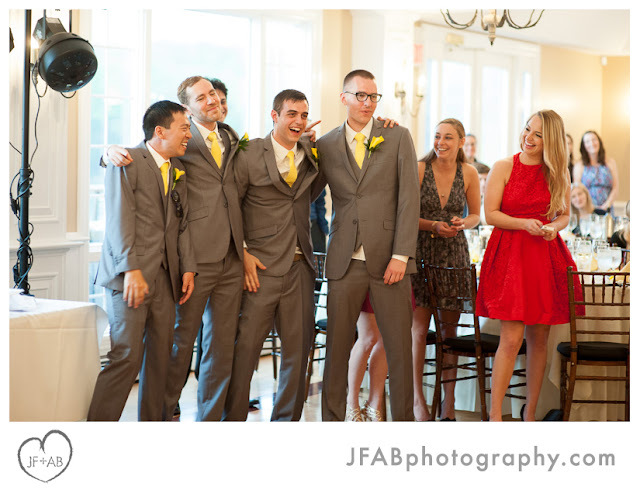 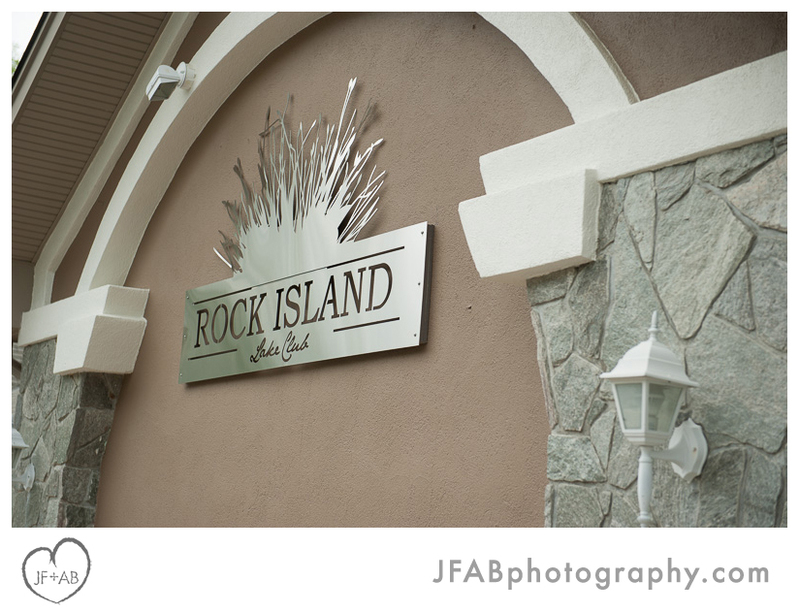 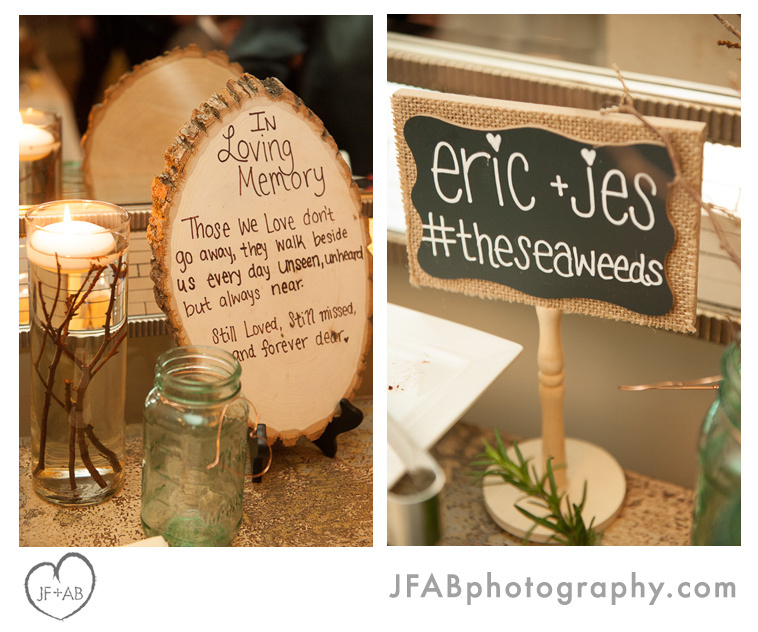 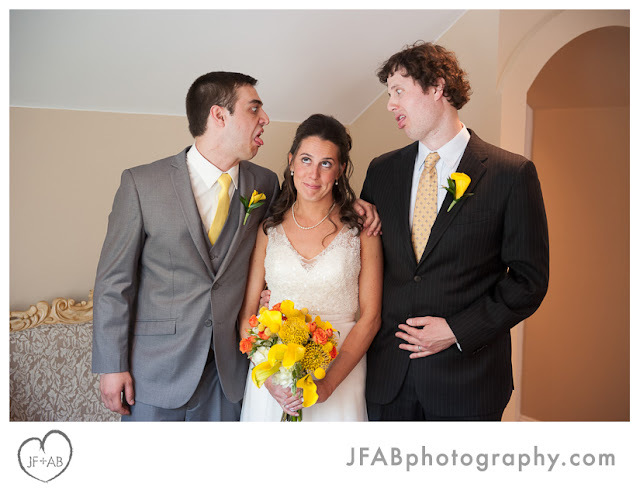 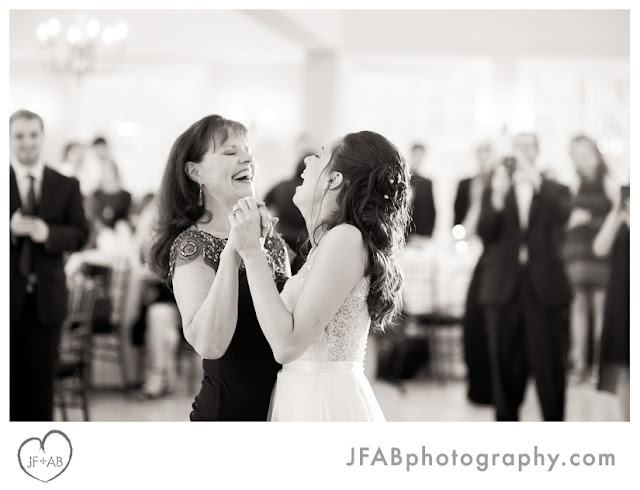 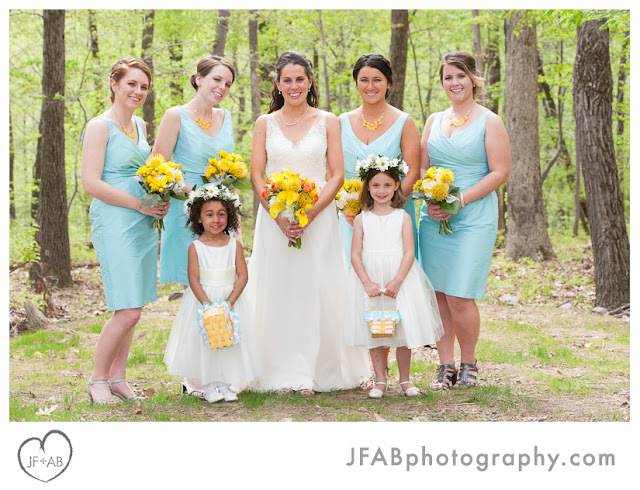 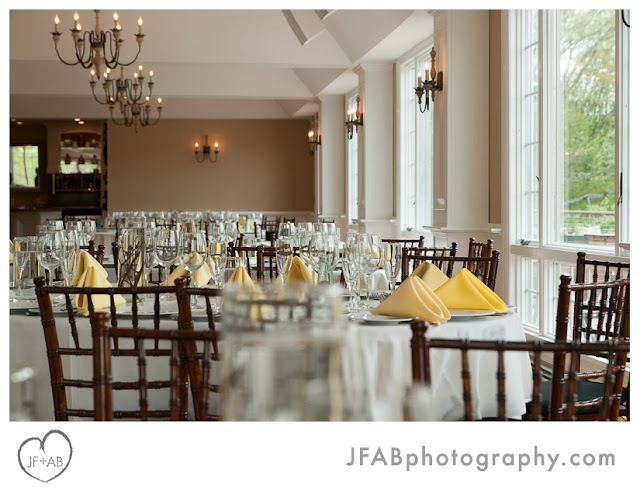 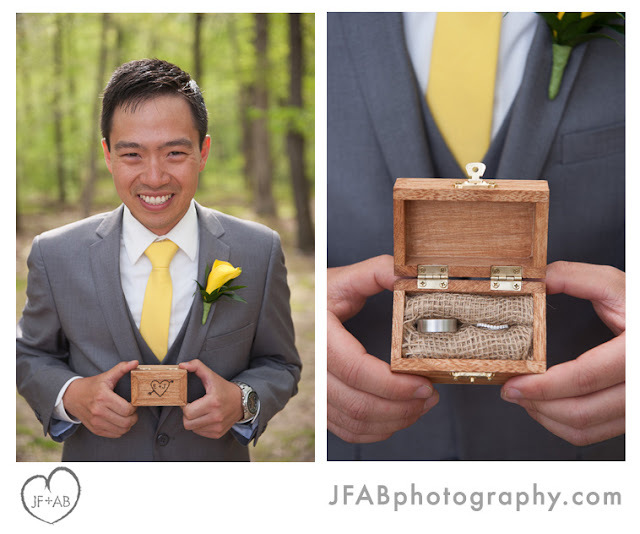 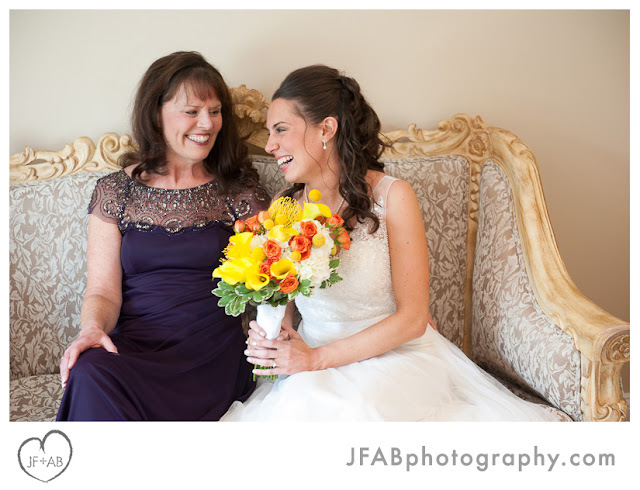 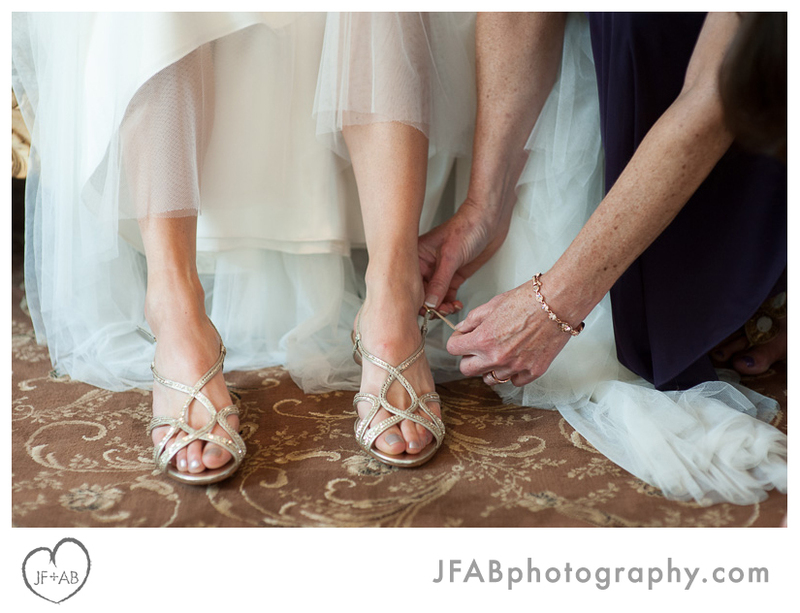 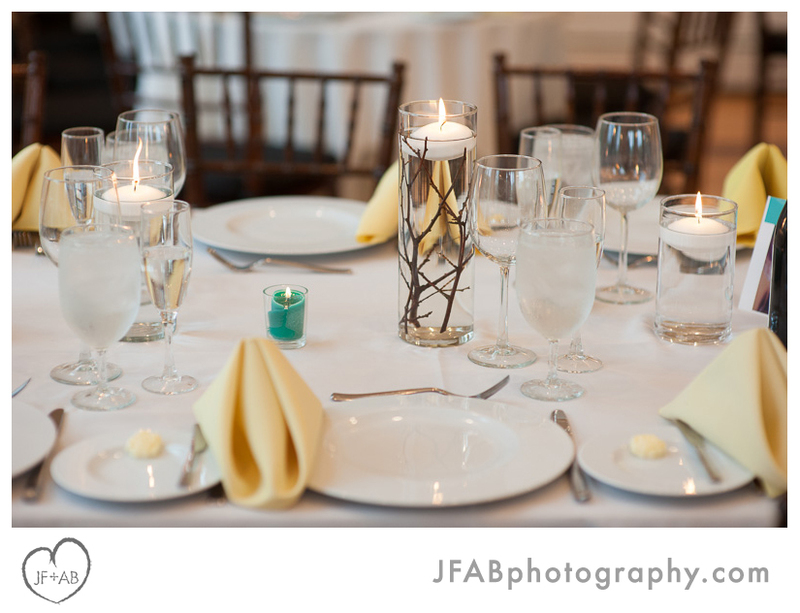 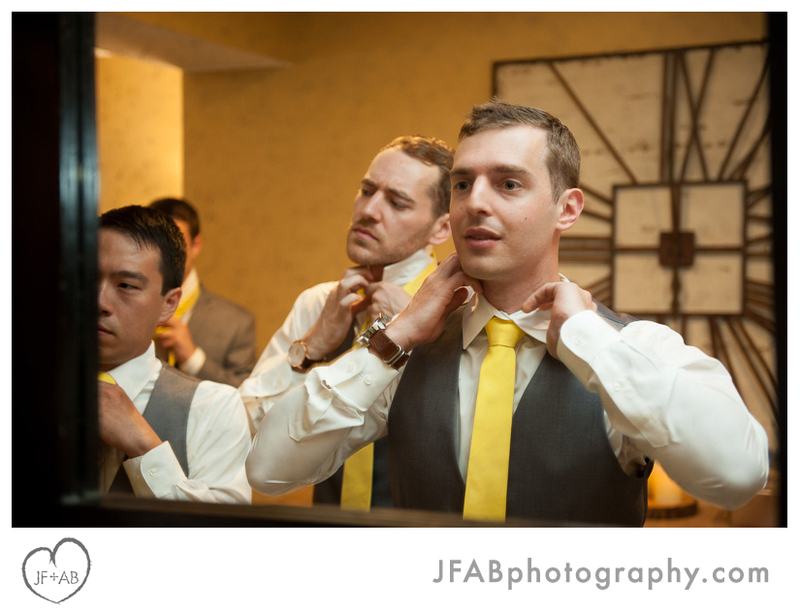 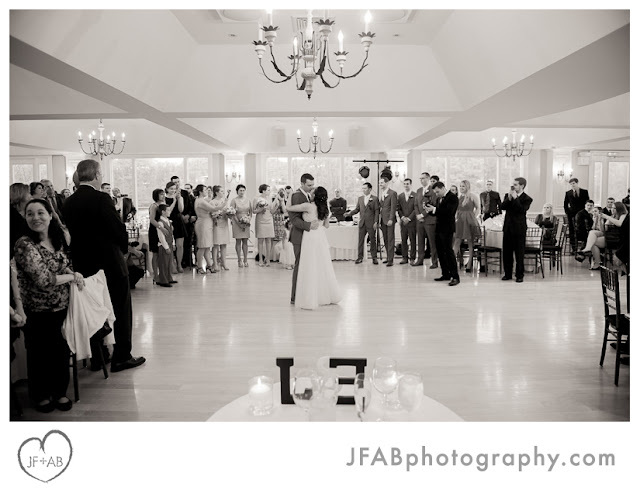 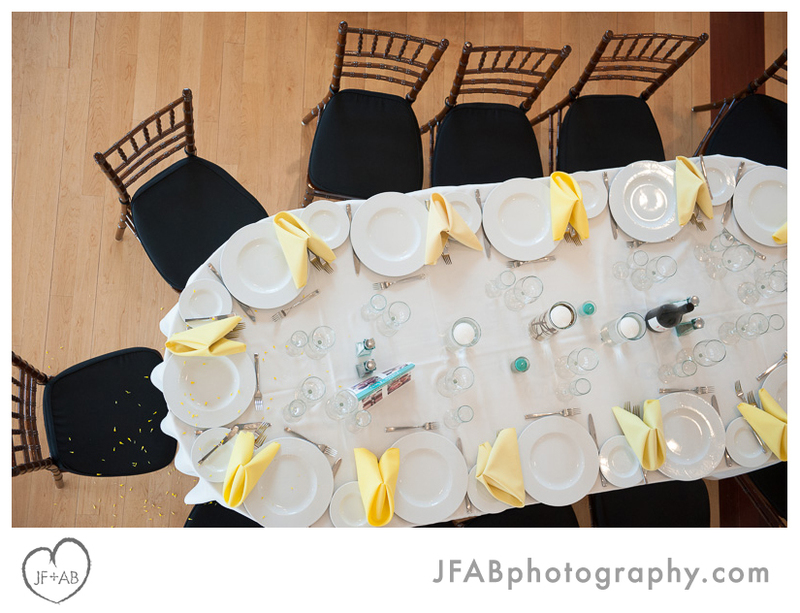 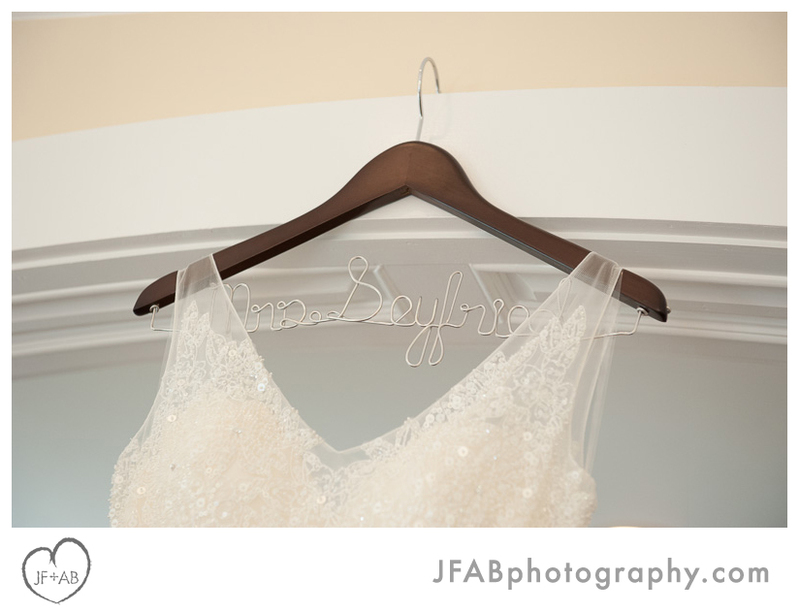 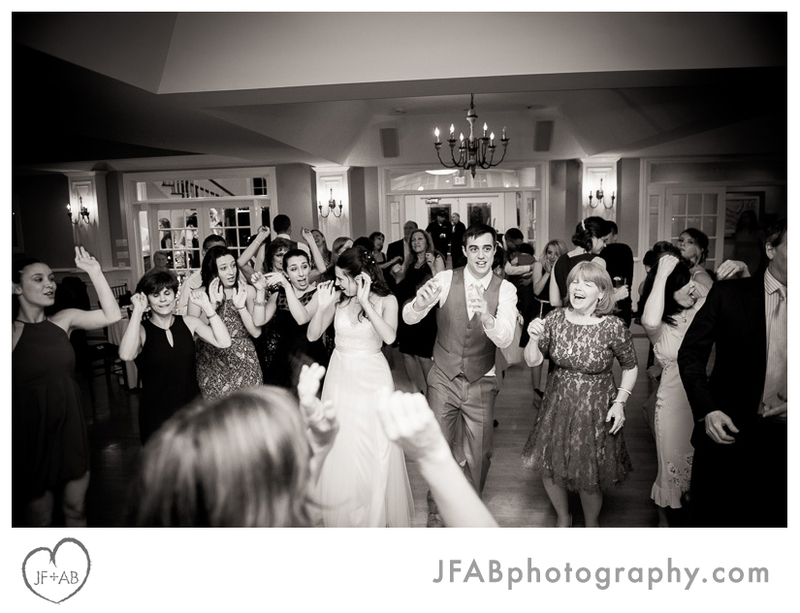 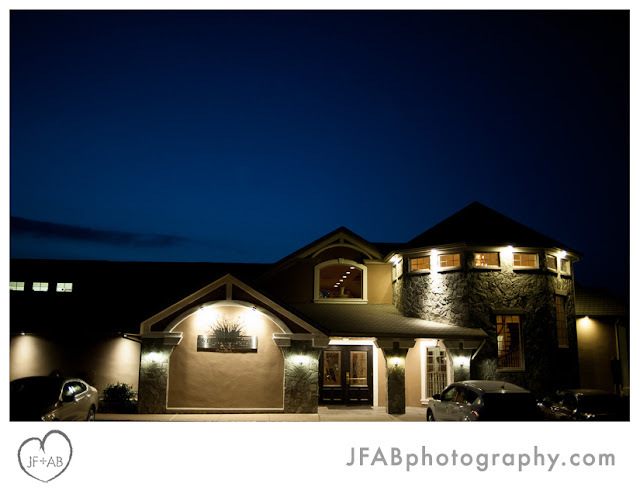 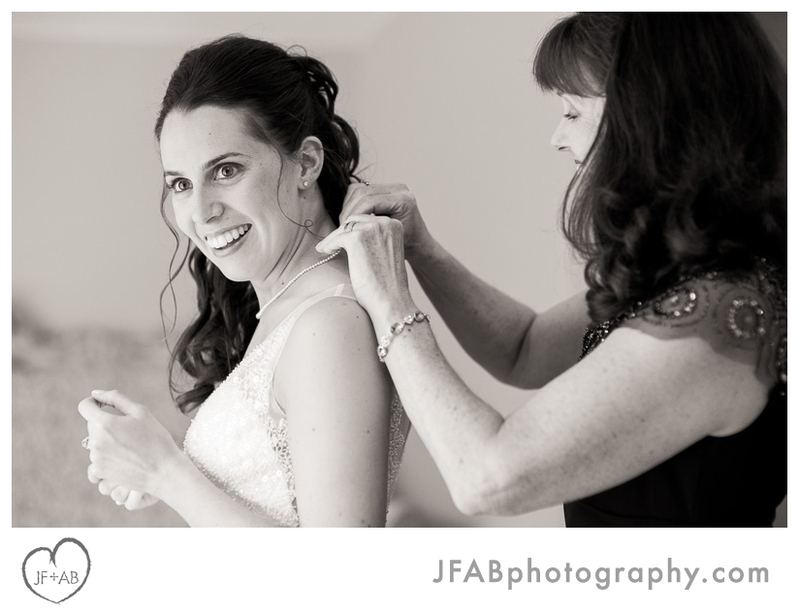 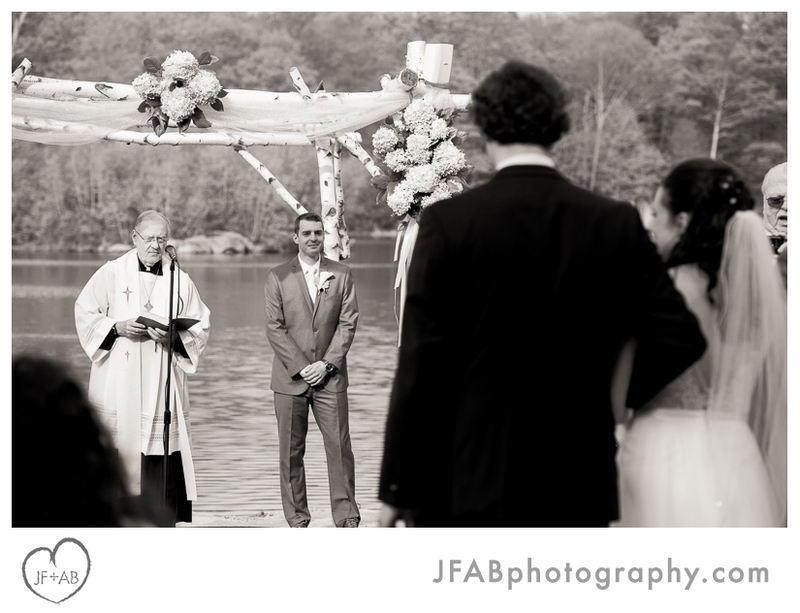 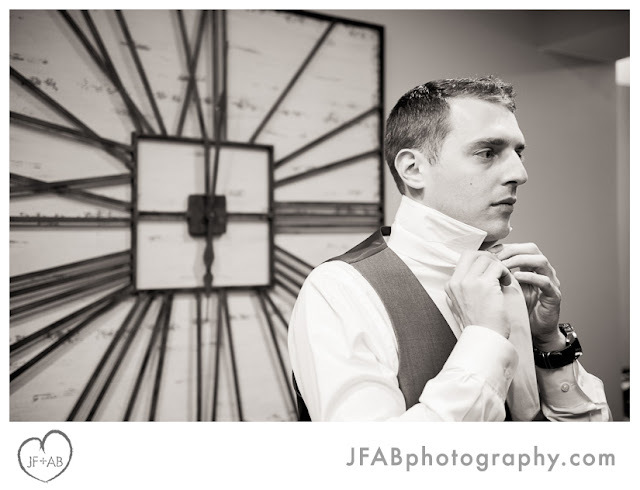 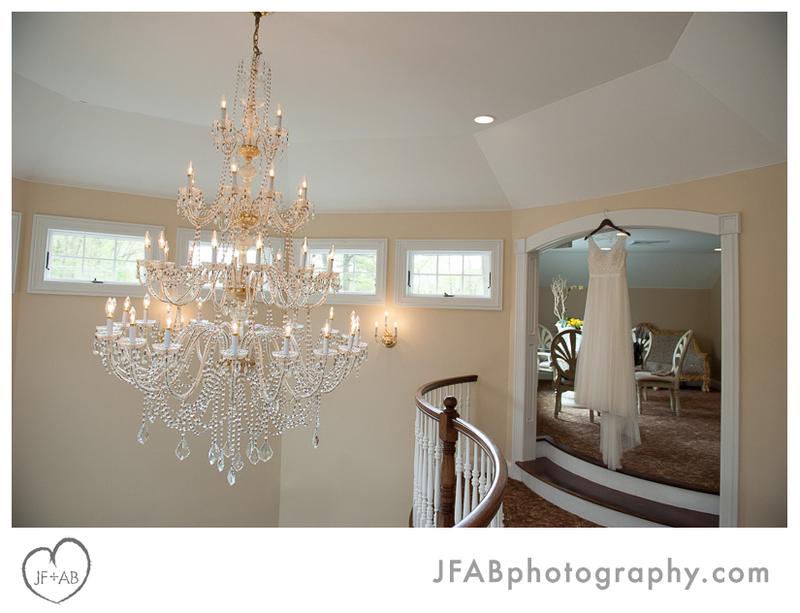 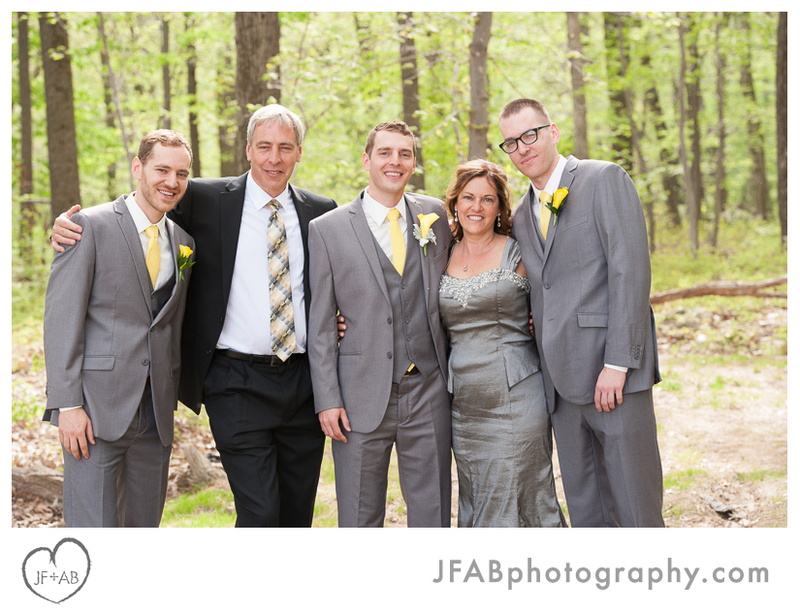 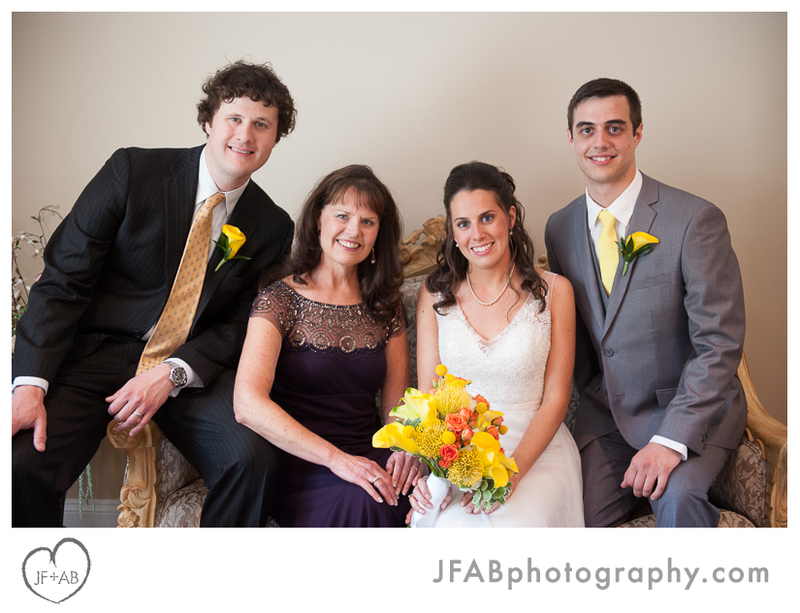 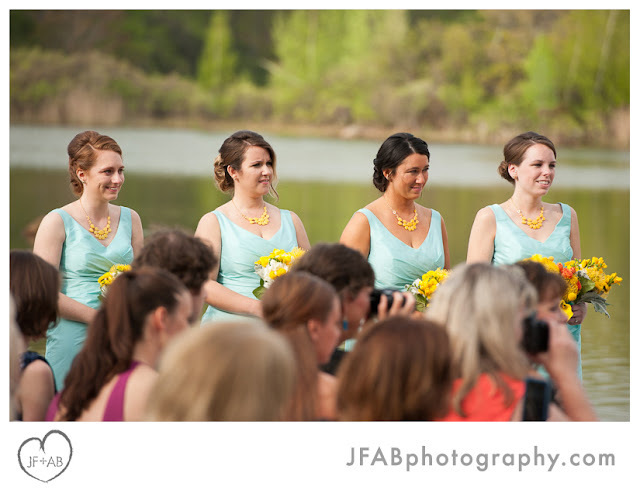 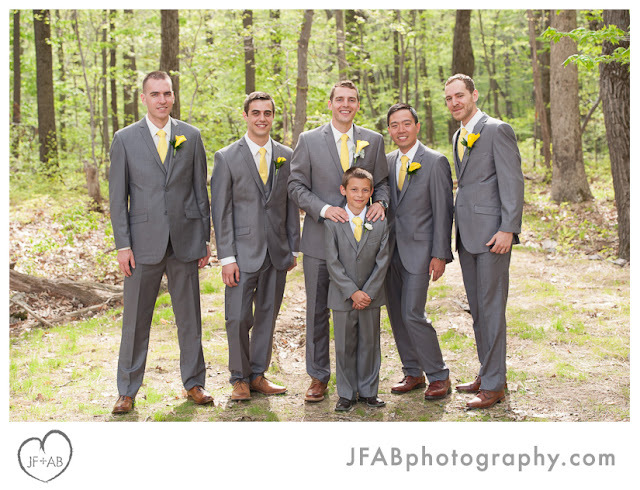 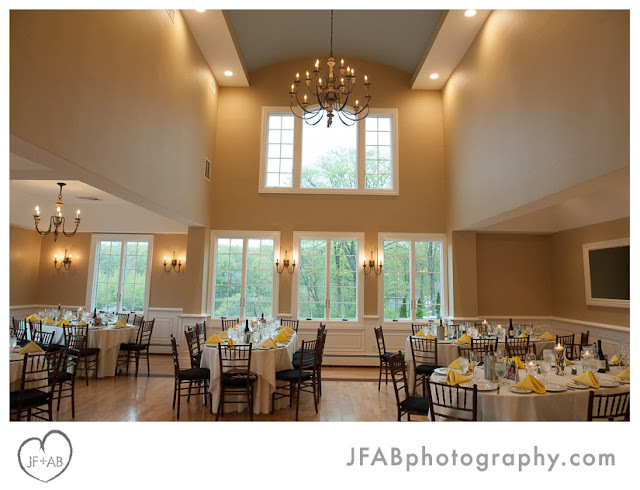 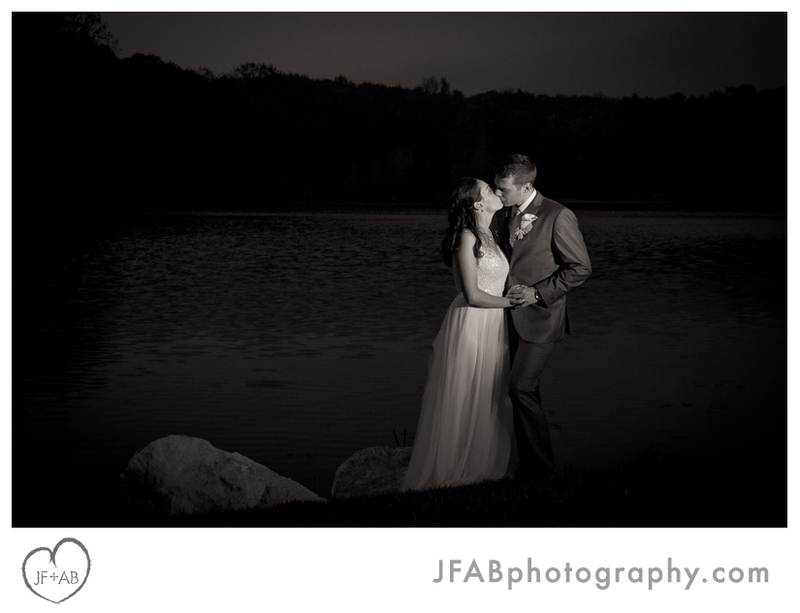 JF + AB Photography Blog: Jessica and Eric | Married! 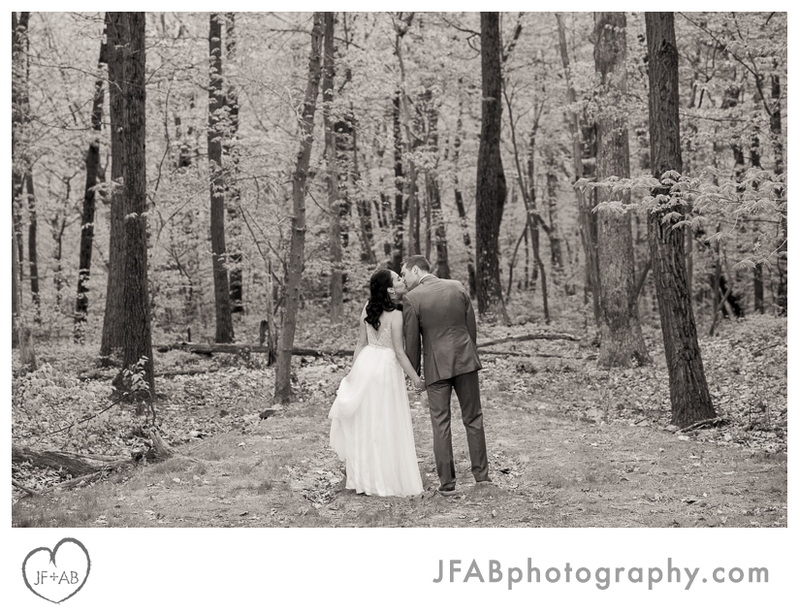 Jessica and Eric | Married! 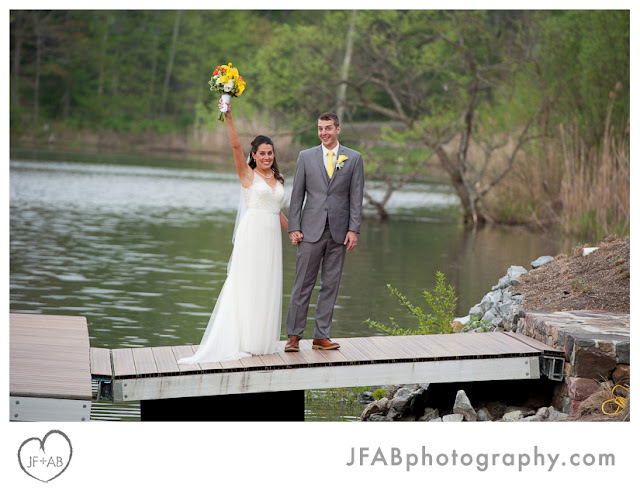 I met Jessica and Eric last summer for their engagement photos at Bradley Beach, where they first met at their mutual friend's beach shack. 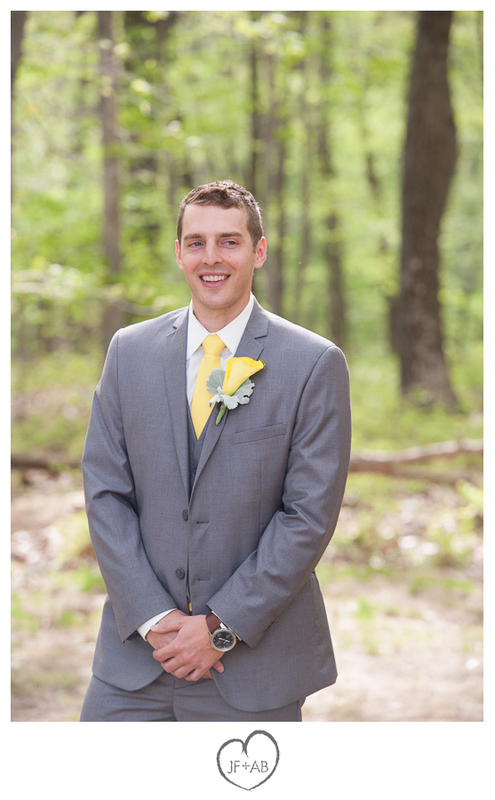 Eric is in the navy and for much of the time since the session, he was out at sea. 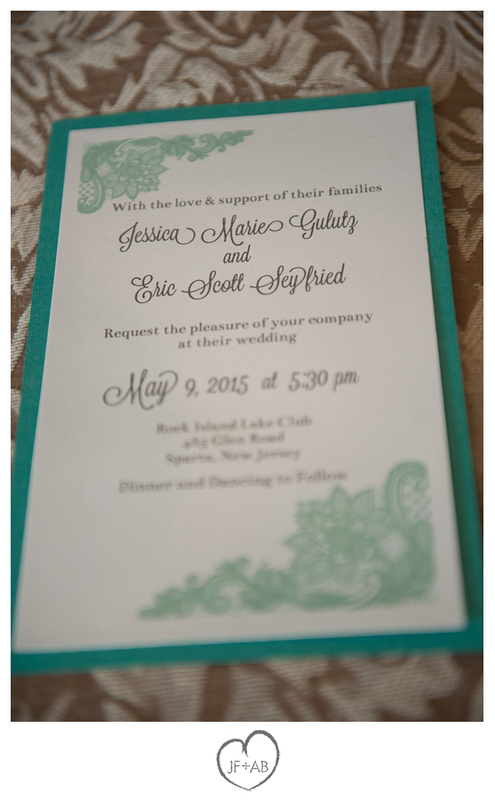 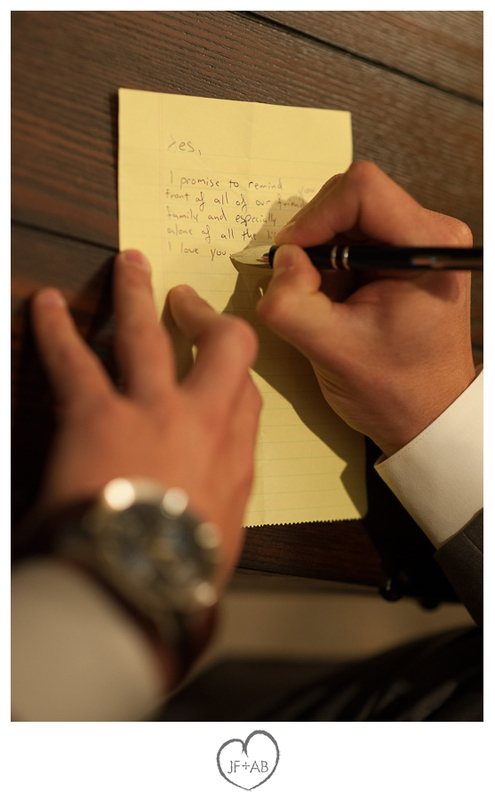 Despite the separation, they still found time to plan and personalize their wedding. They made all of the centerpieces, the little signs, memory place, flower girl baskets and ring boy's box among other details. 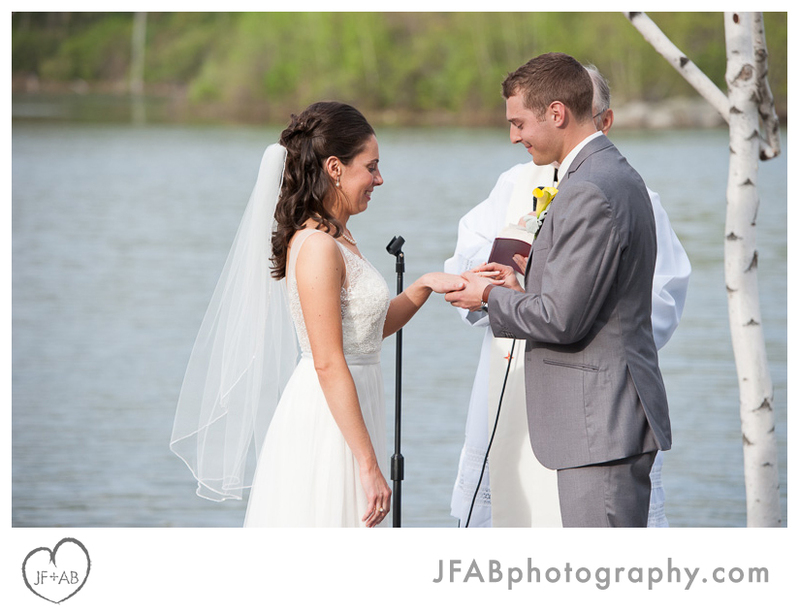 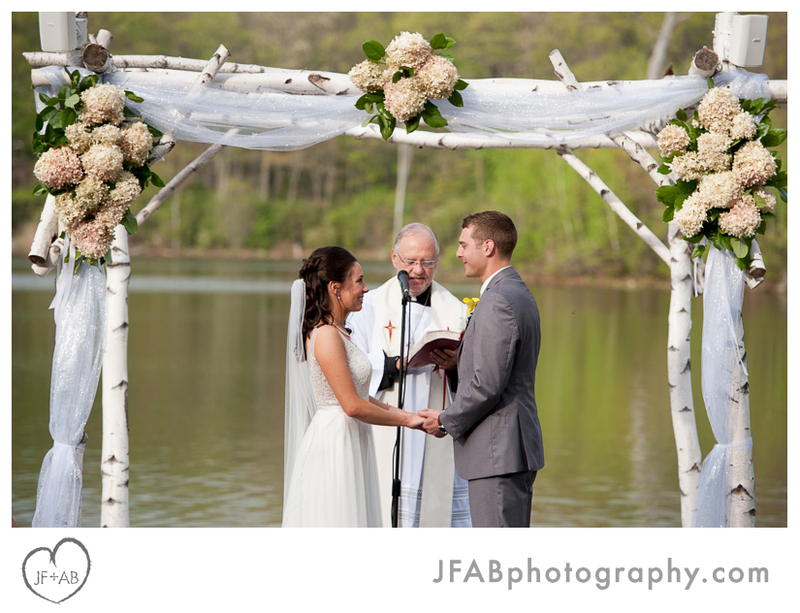 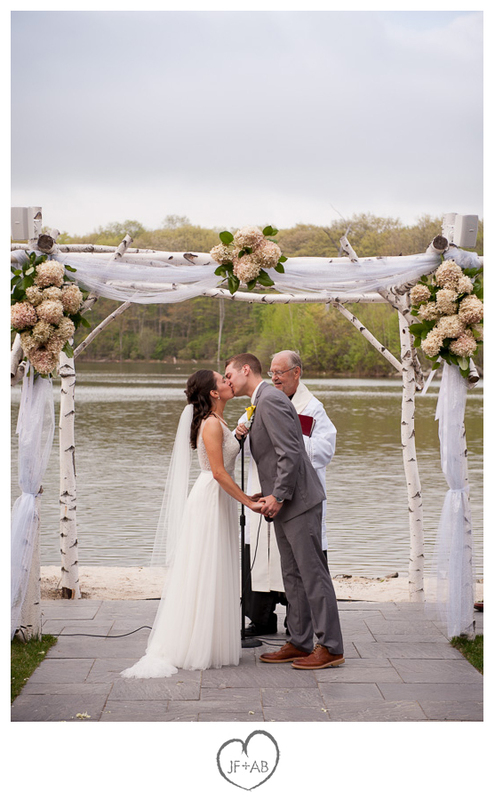 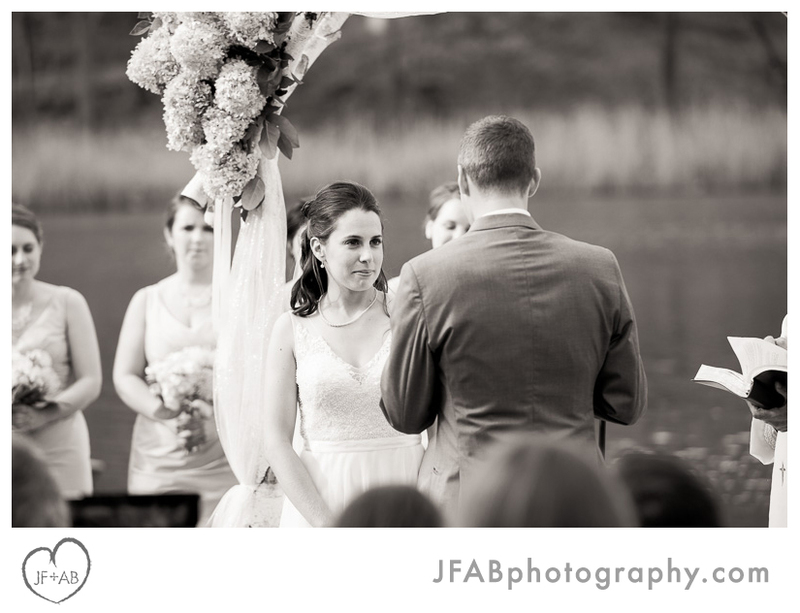 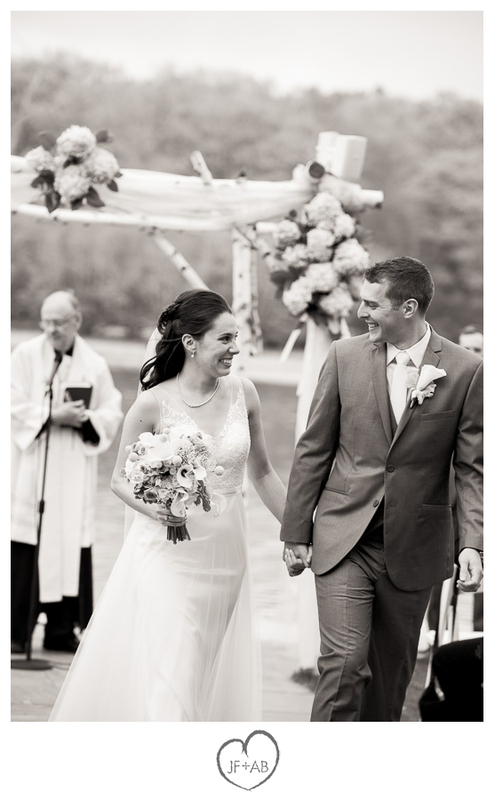 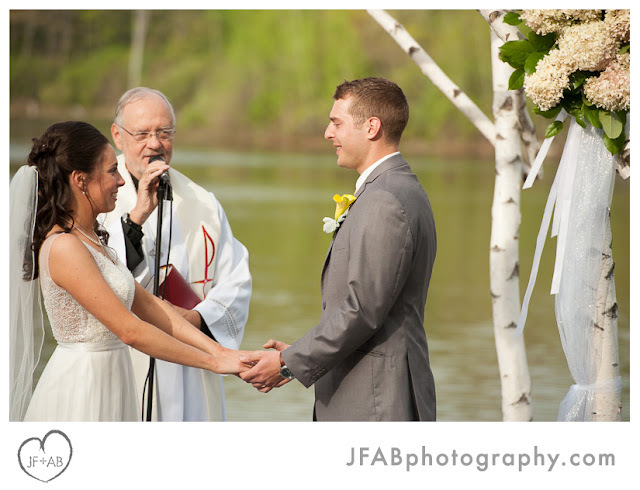 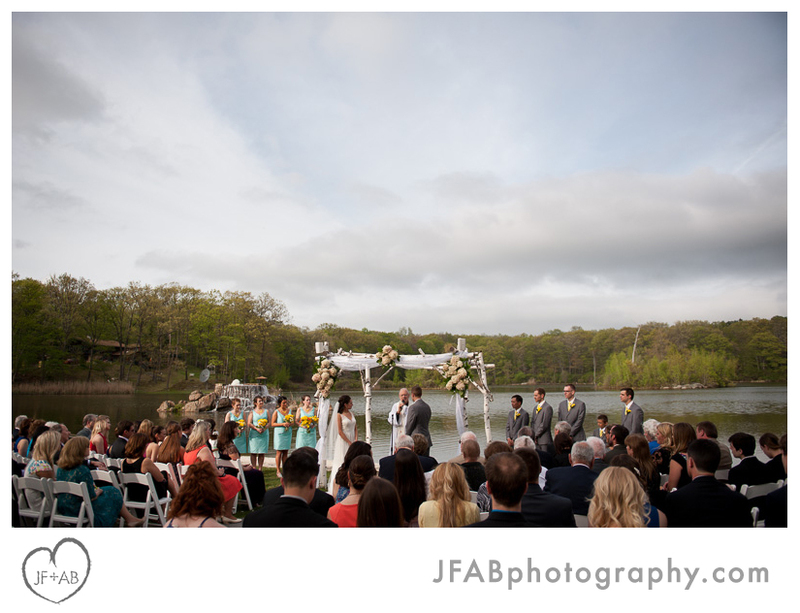 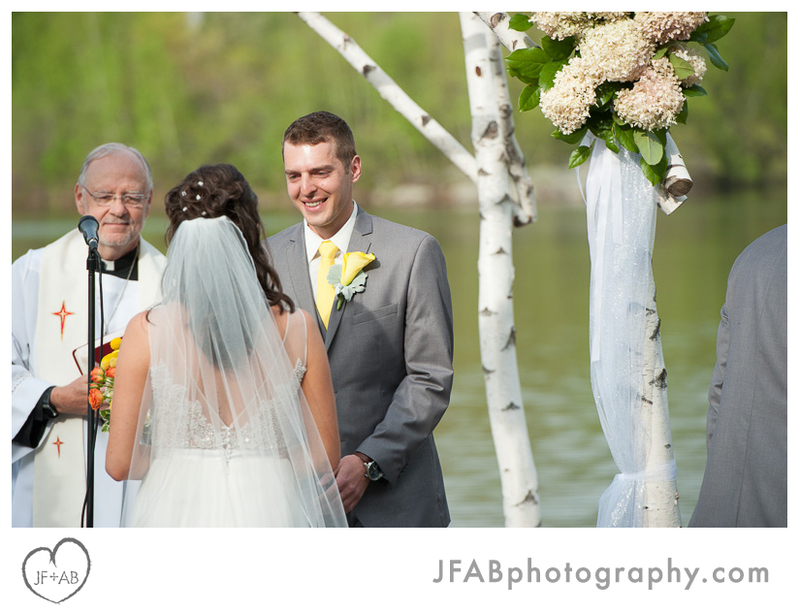 They wrote their own vows and exchanged them at a beautiful lakeside ceremony. 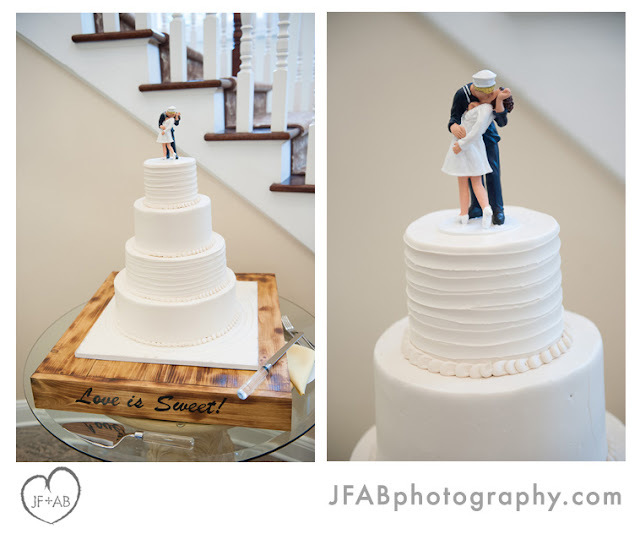 Their wedding cake topper was a nod to their love of the iconic WWII/VJ Day kiss photo (which we recreated as part of their engagement session too!). 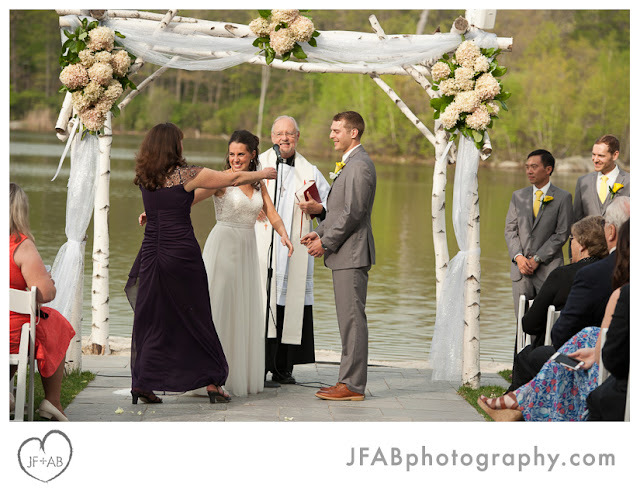 This was a special wedding for me because I got to see both a former bride and groom (Maggie and Bob) and a future bride and groom (Jacquie and Bill - congrats guys!). 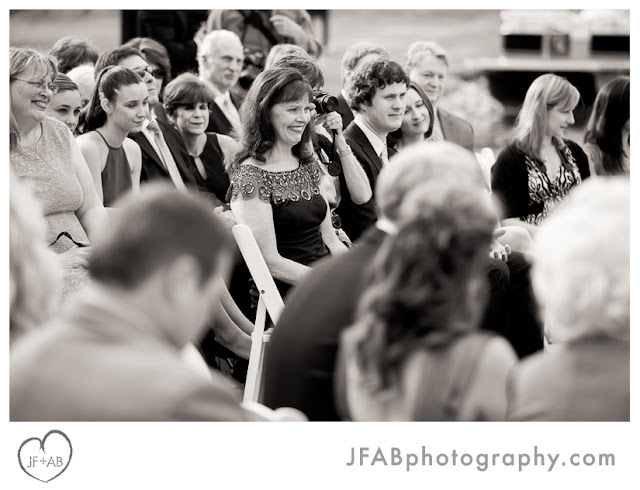 It is a pleasure and an honor to keep working within this wonderful circle of friends. 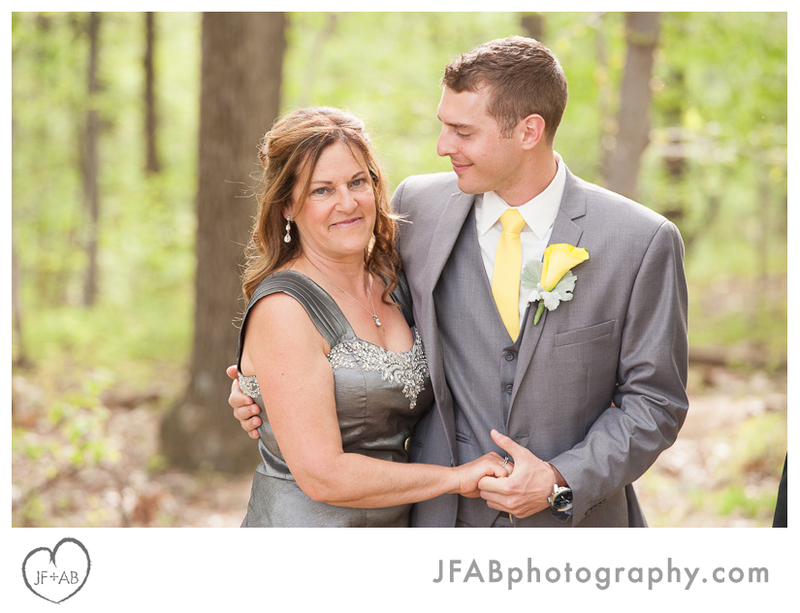 A special thanks to Shawn McCarty for second shooting and helping me pull together this lovely collection of photos. 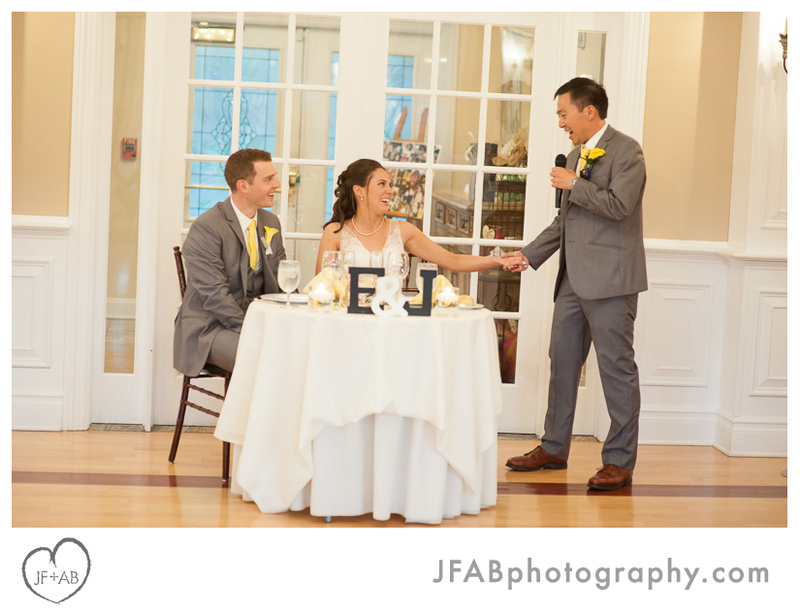 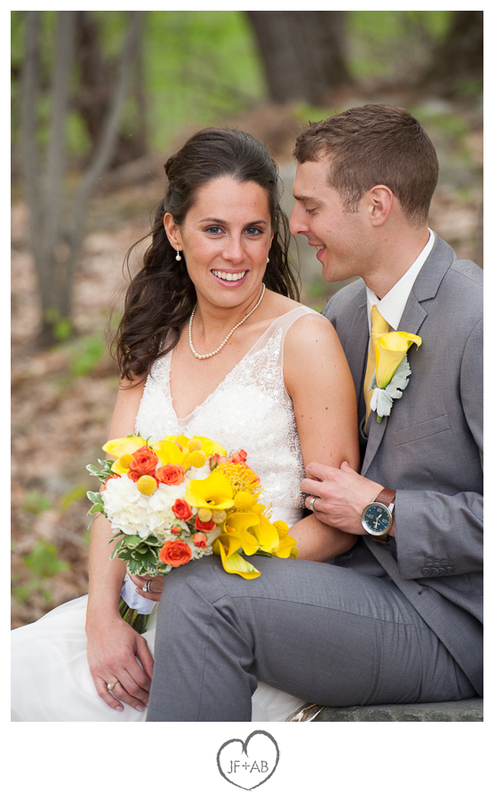 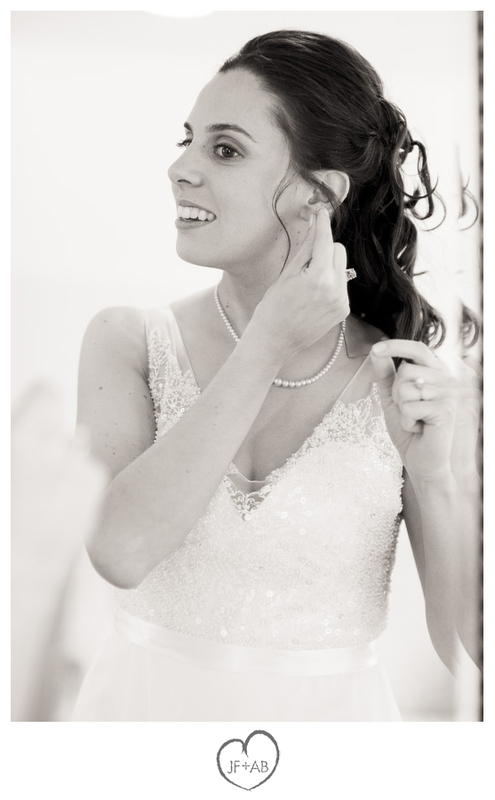 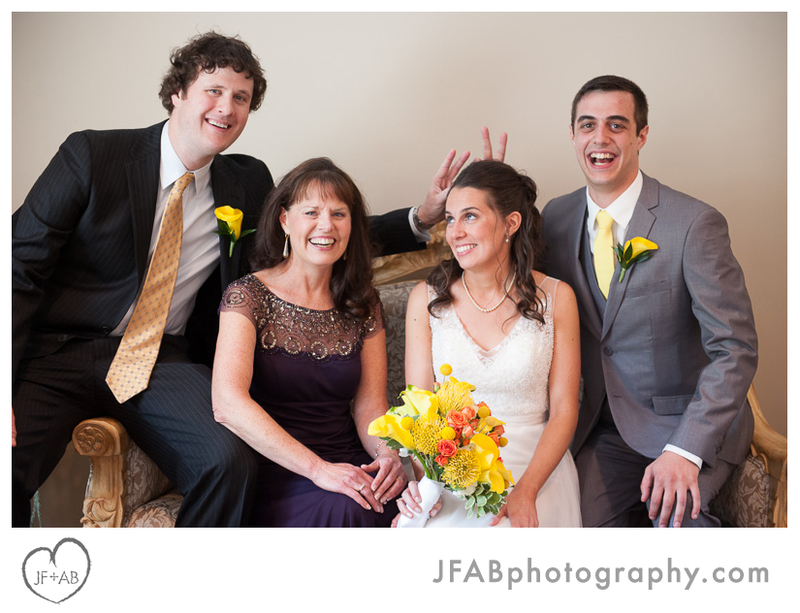 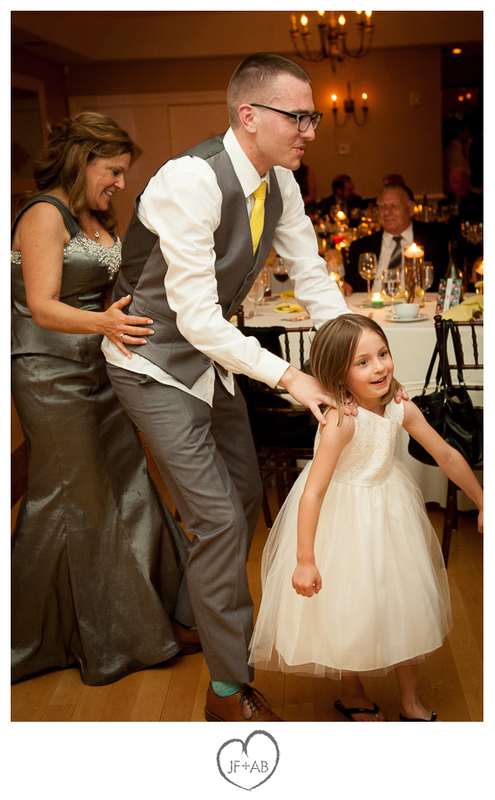 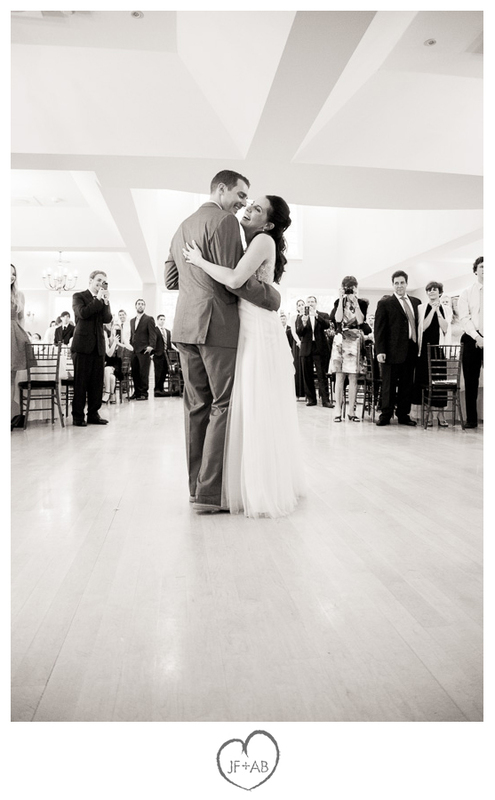 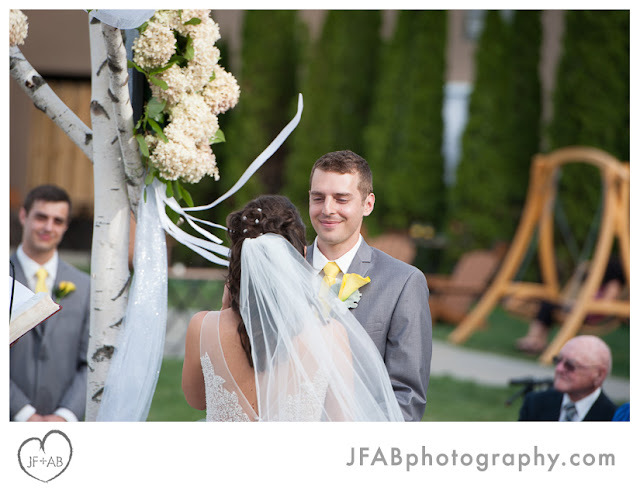 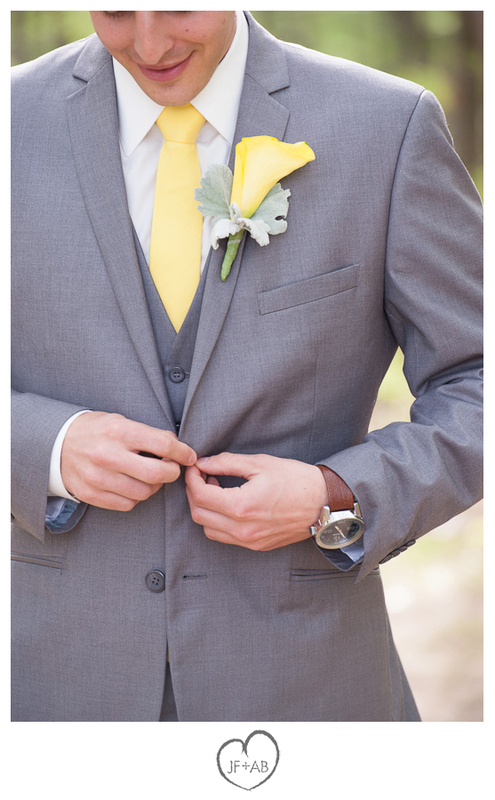 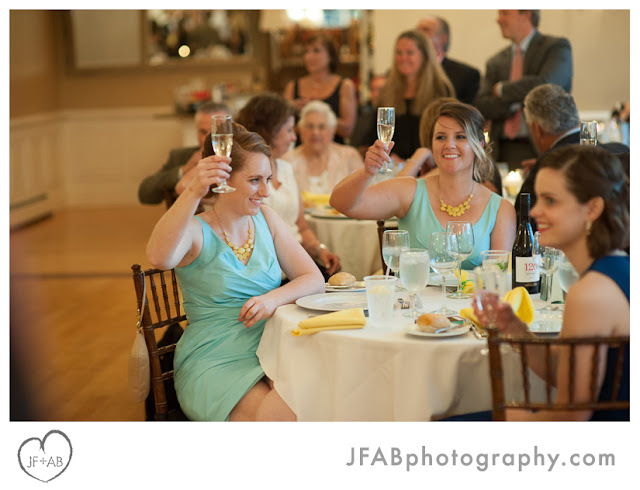 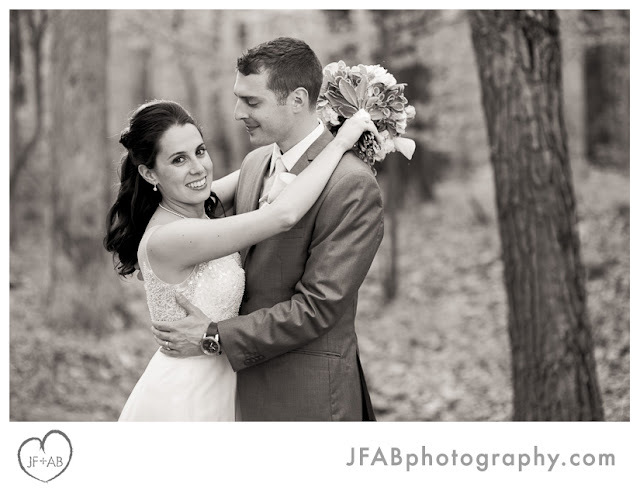 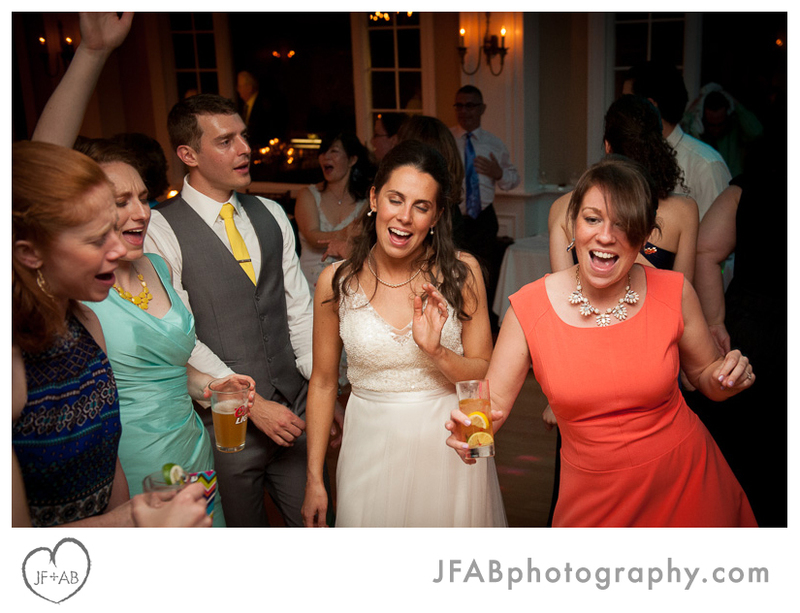 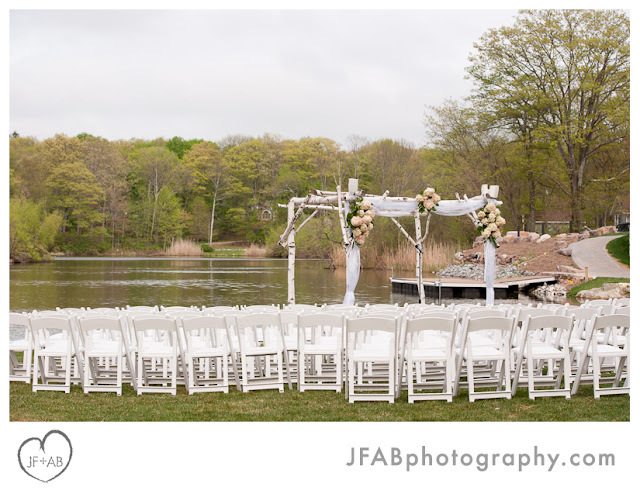 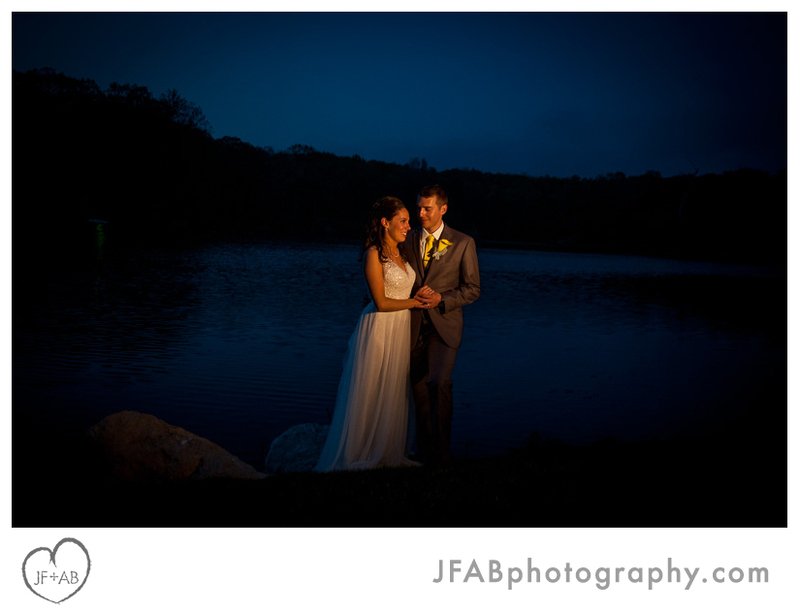 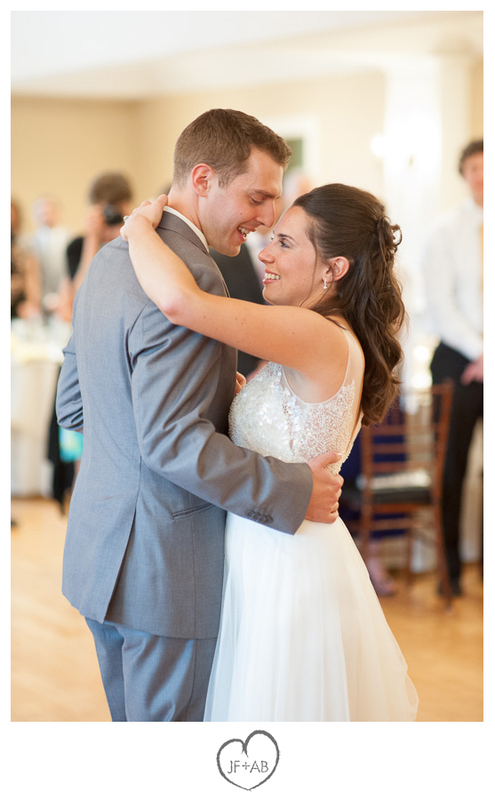 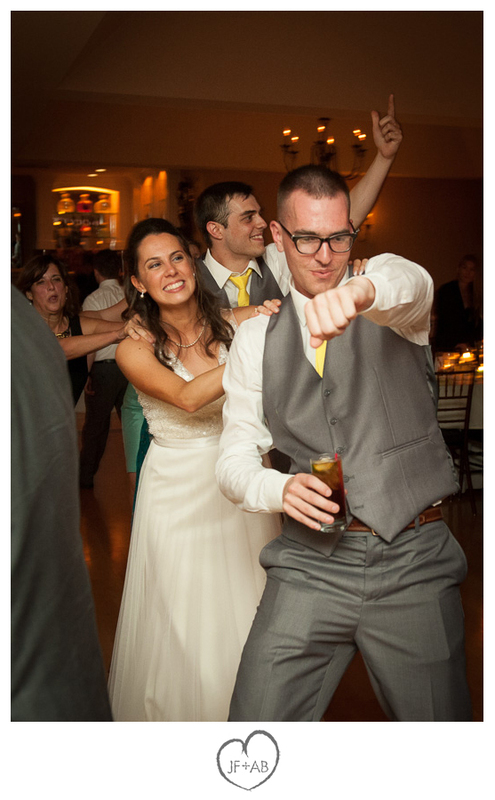 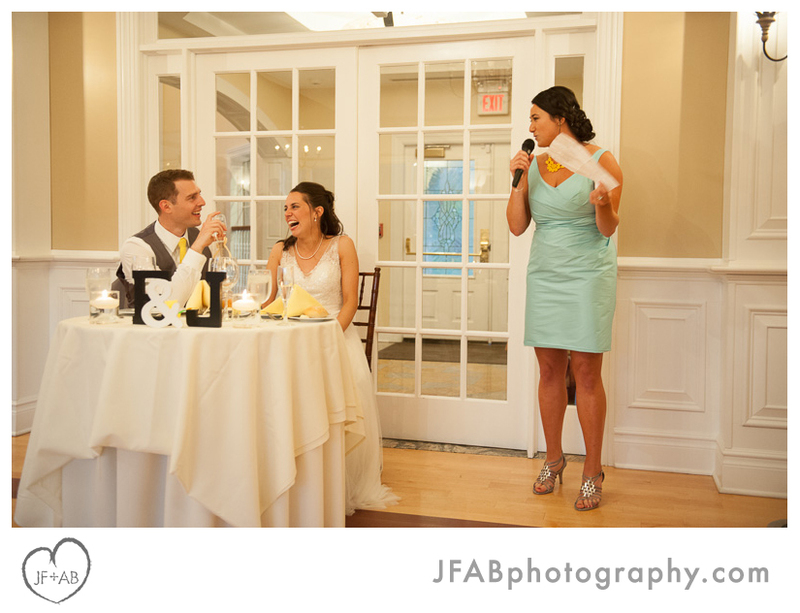 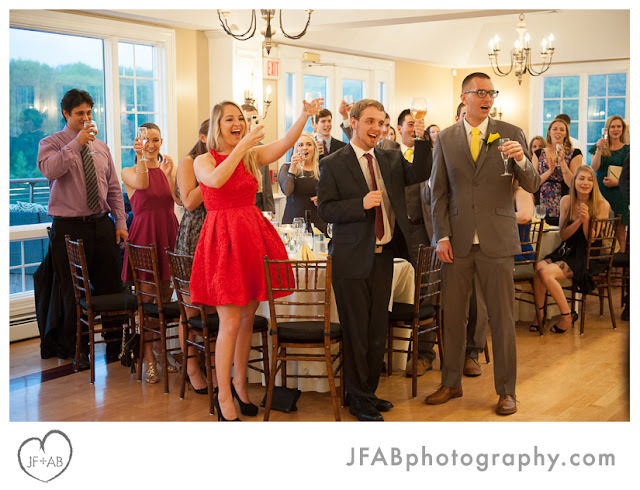 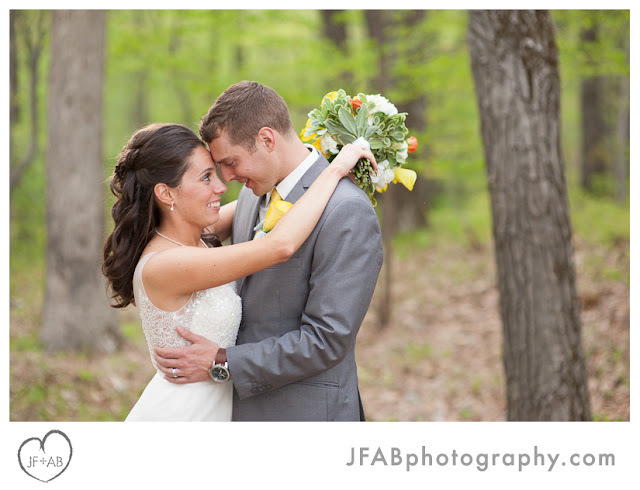 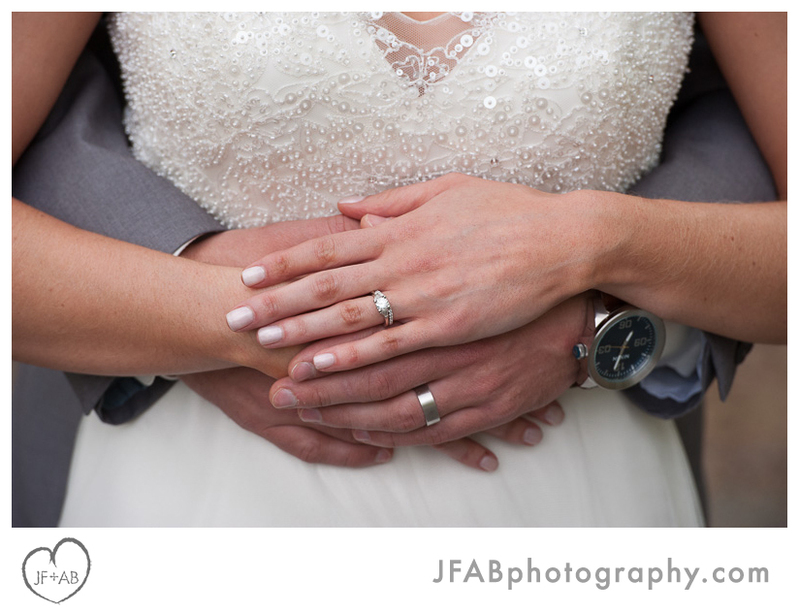 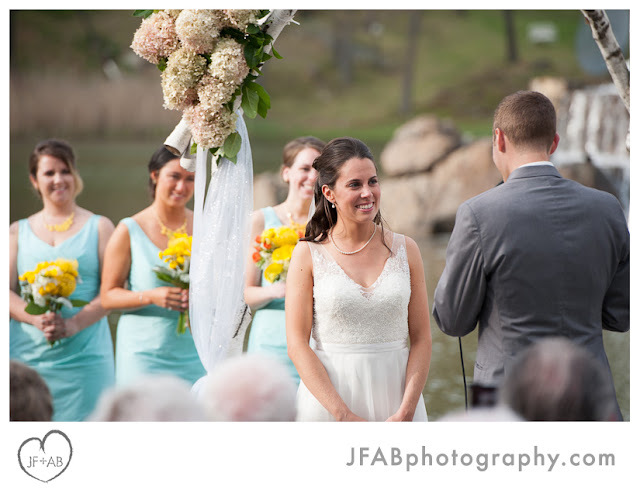 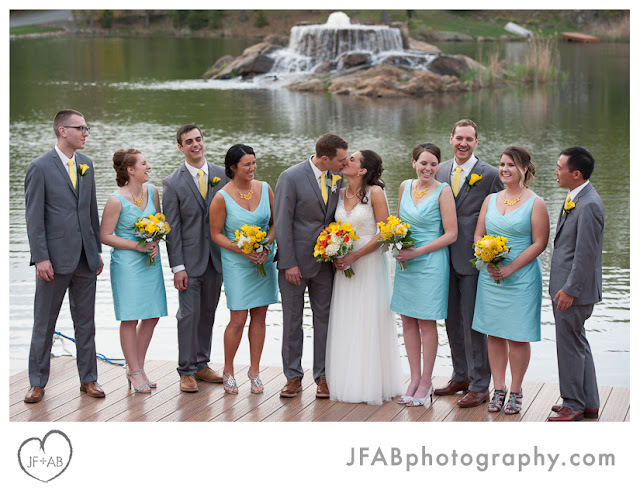 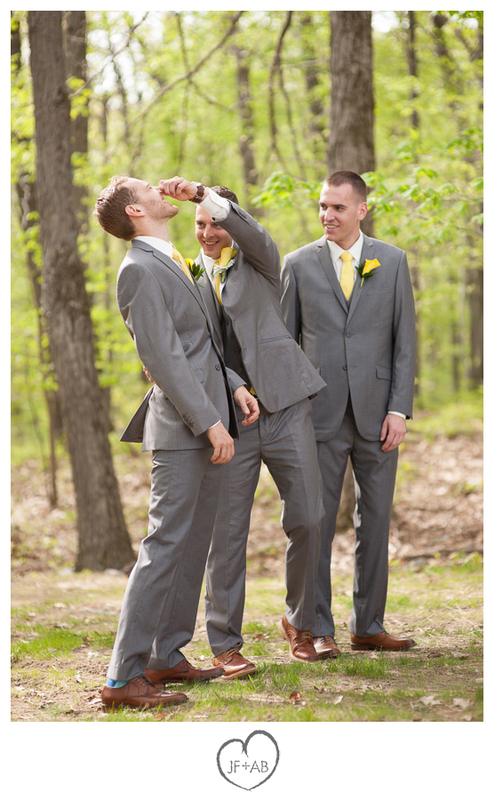 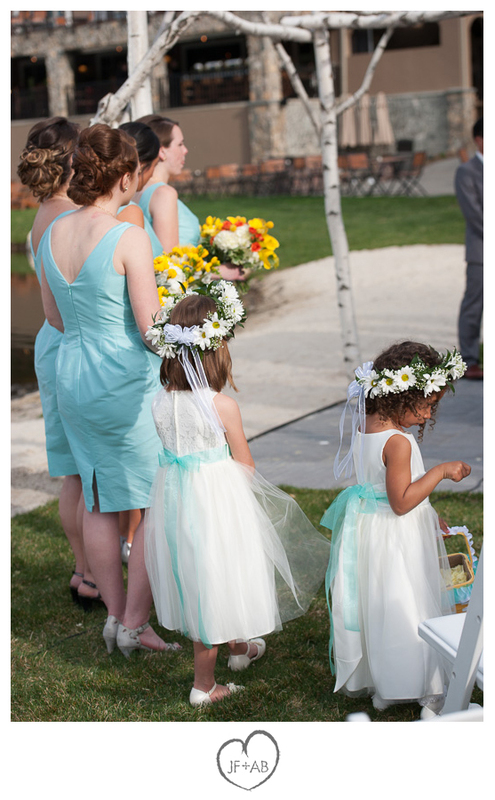 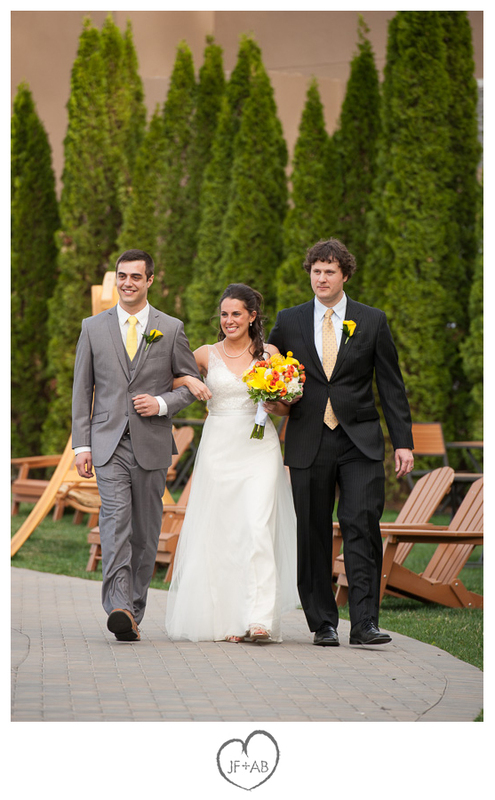 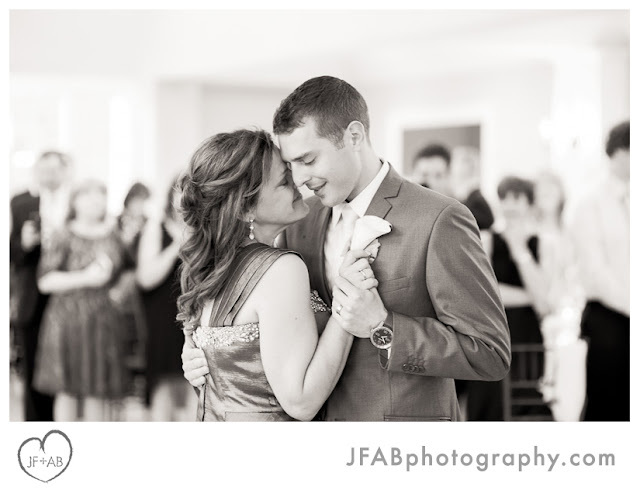 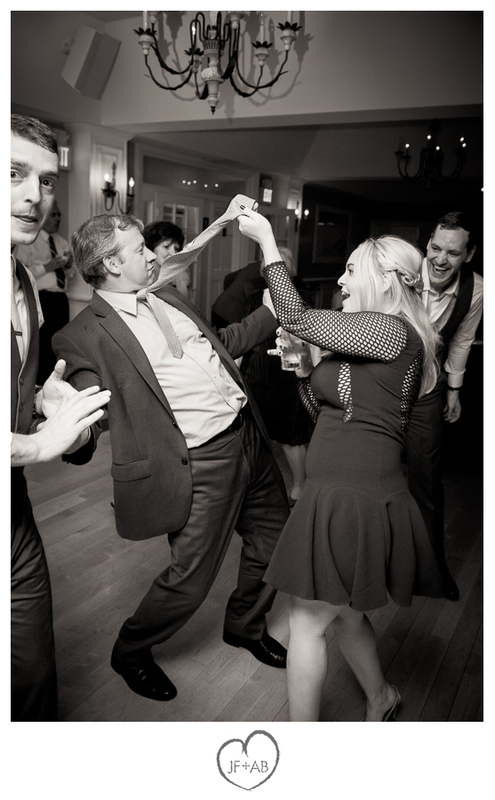 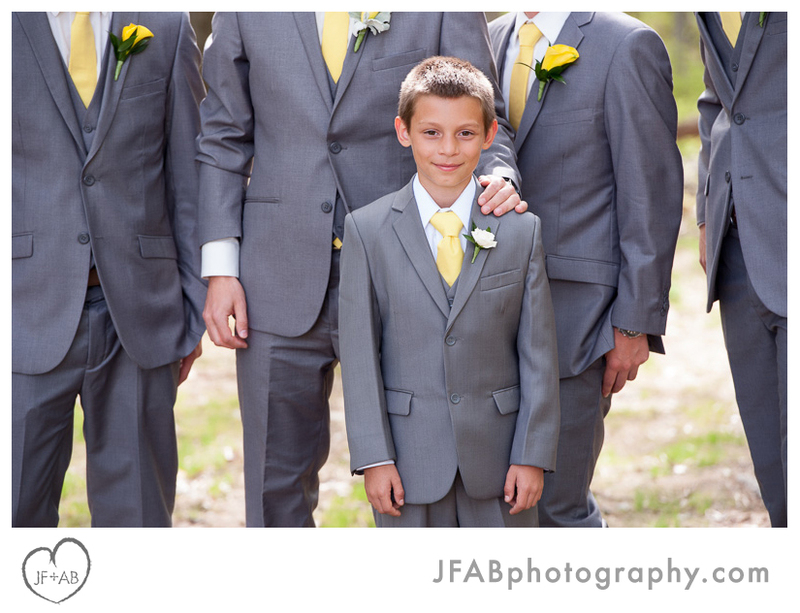 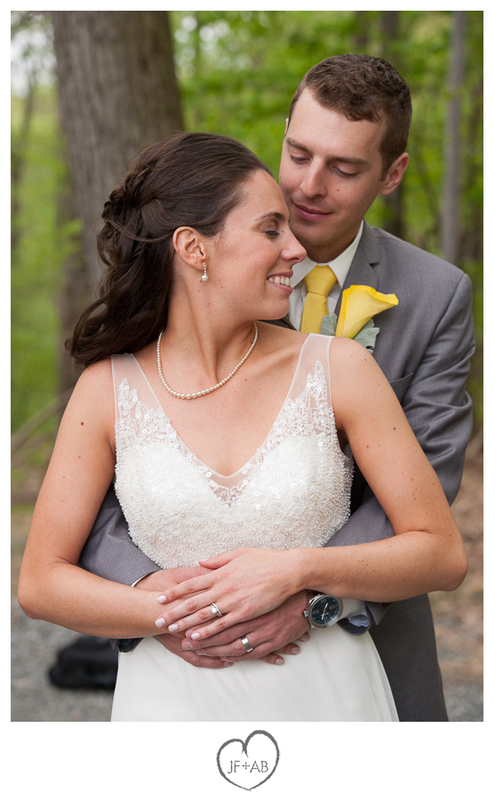 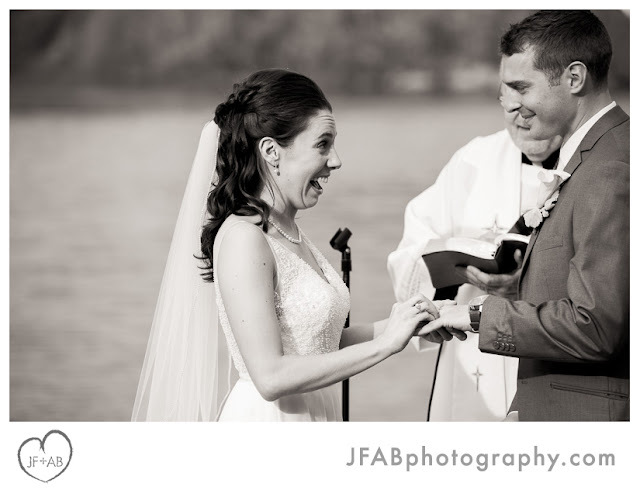 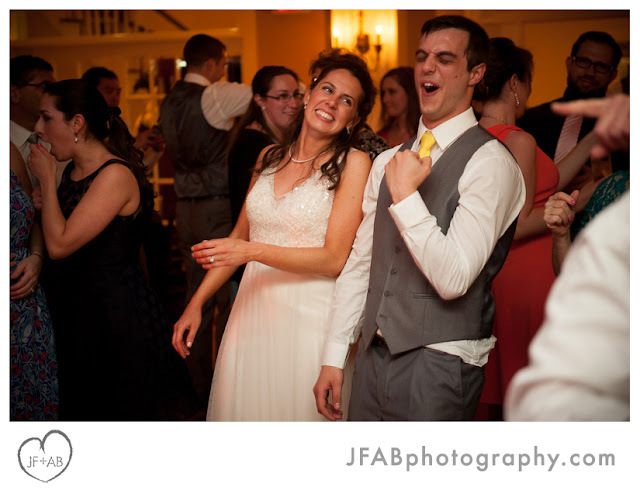 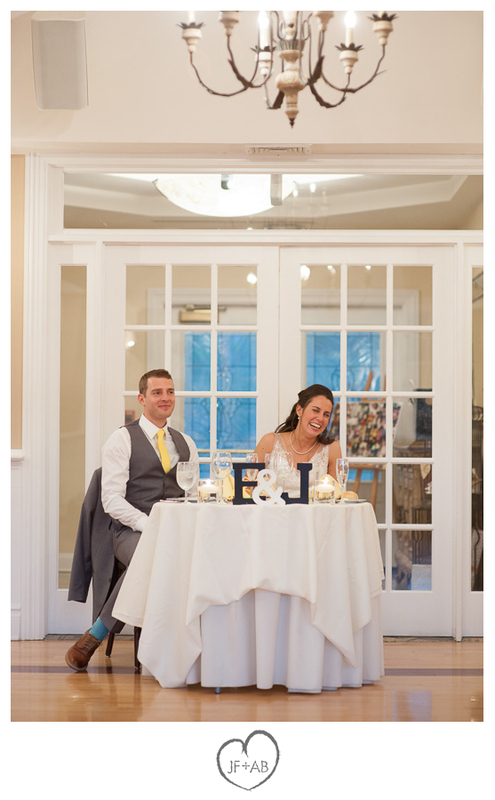 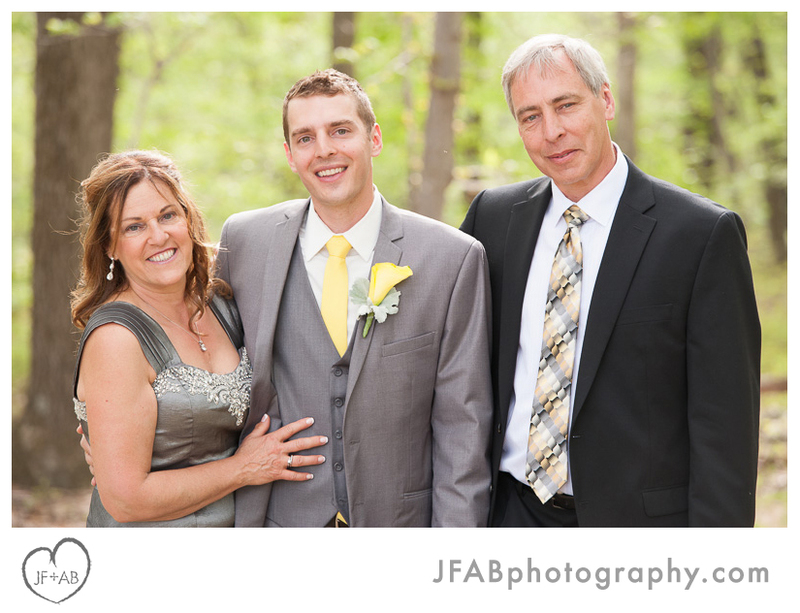 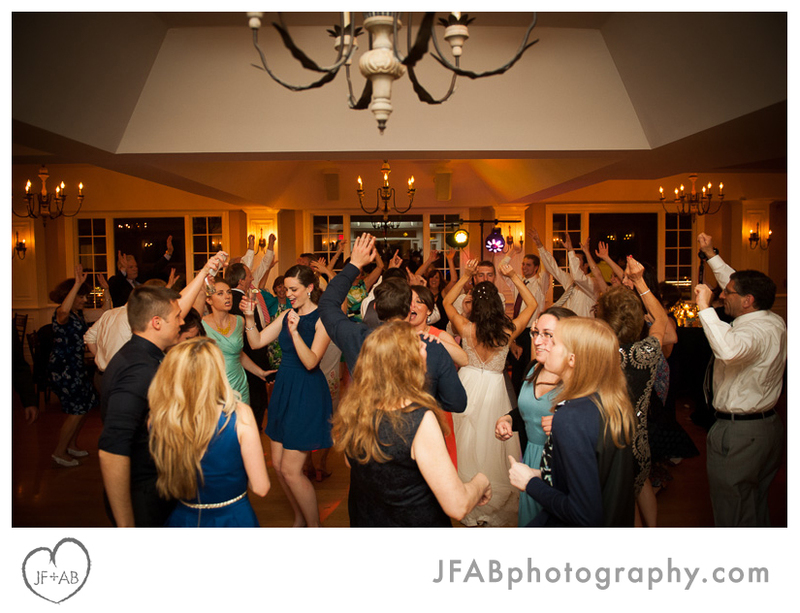 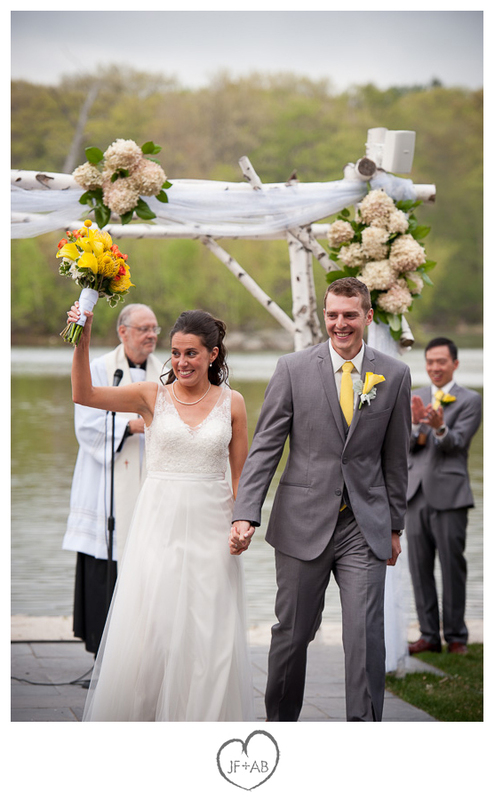 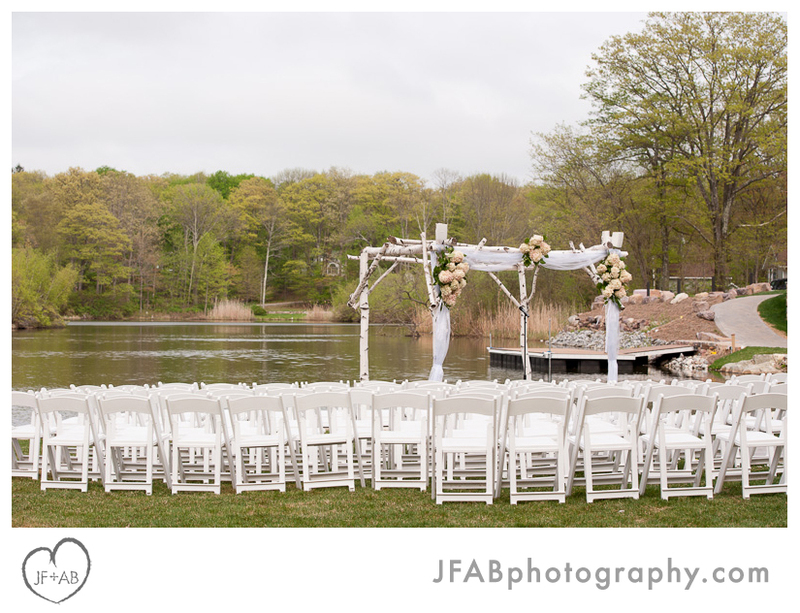 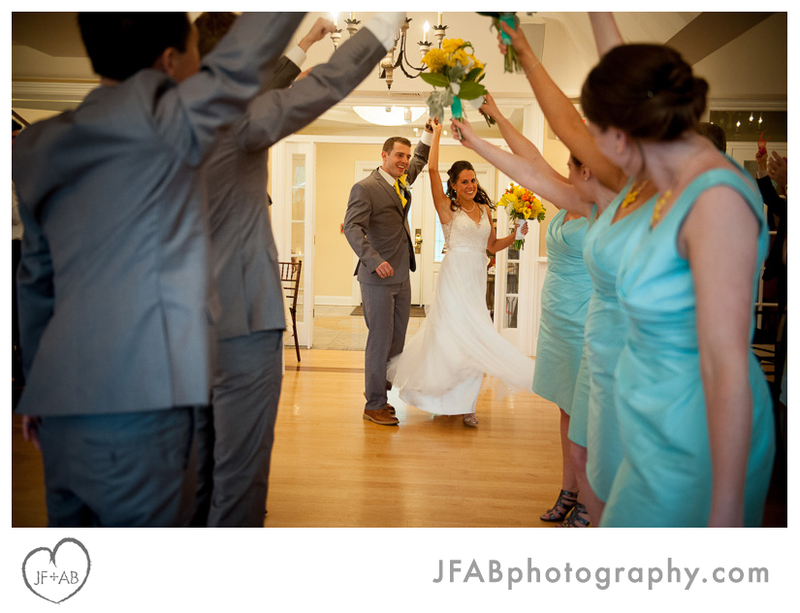 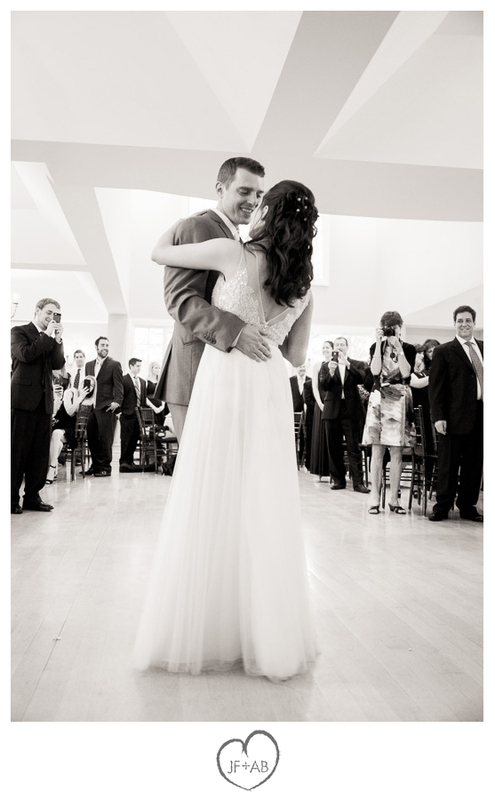 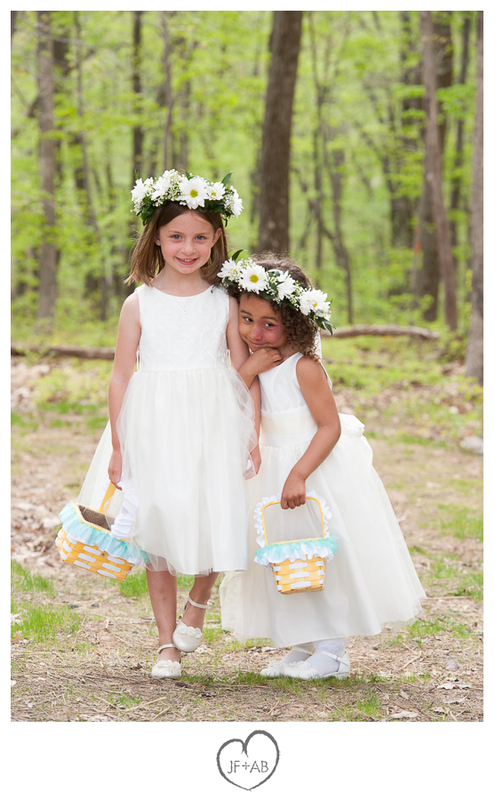 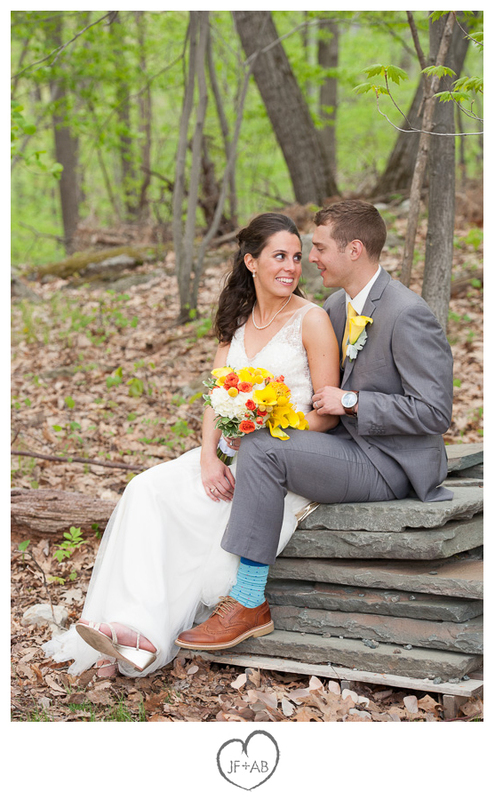 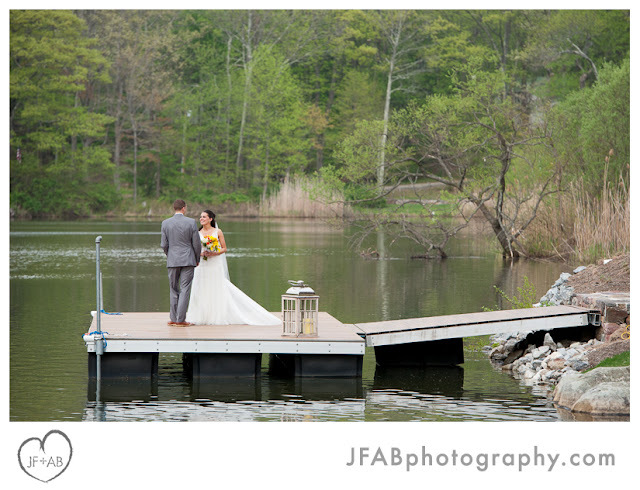 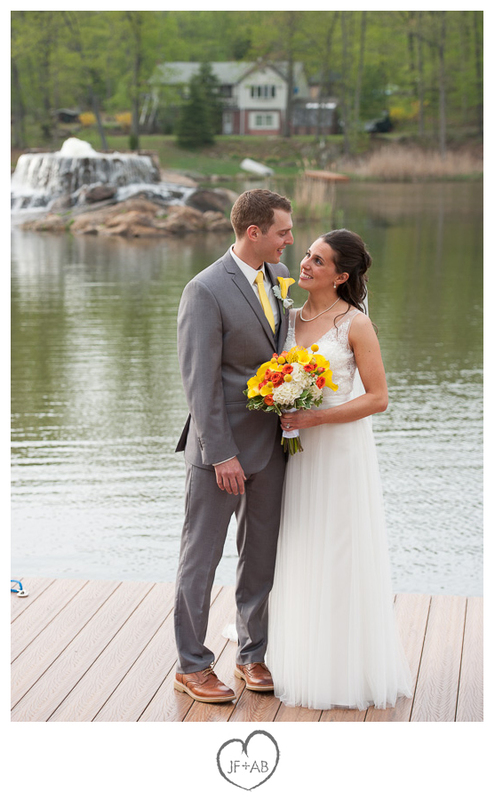 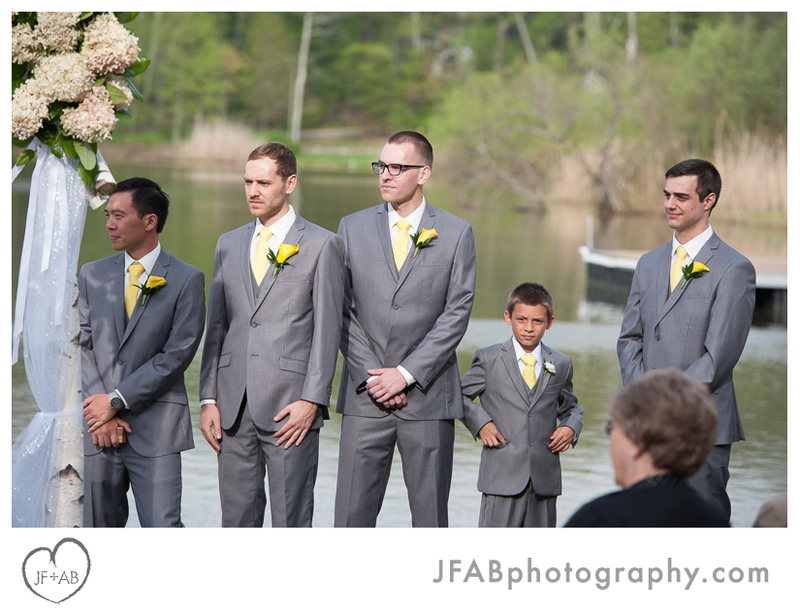 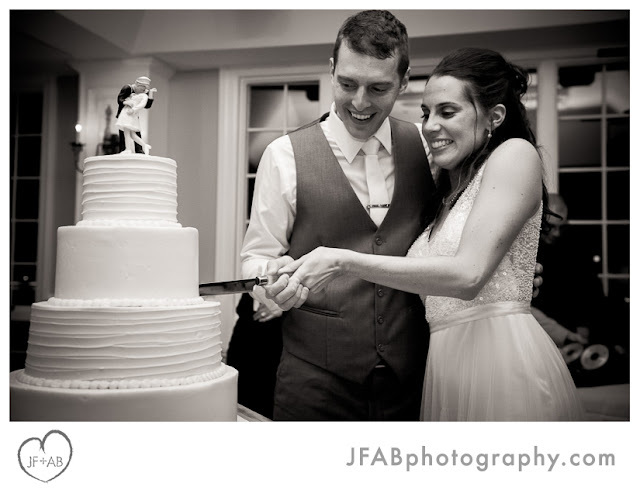 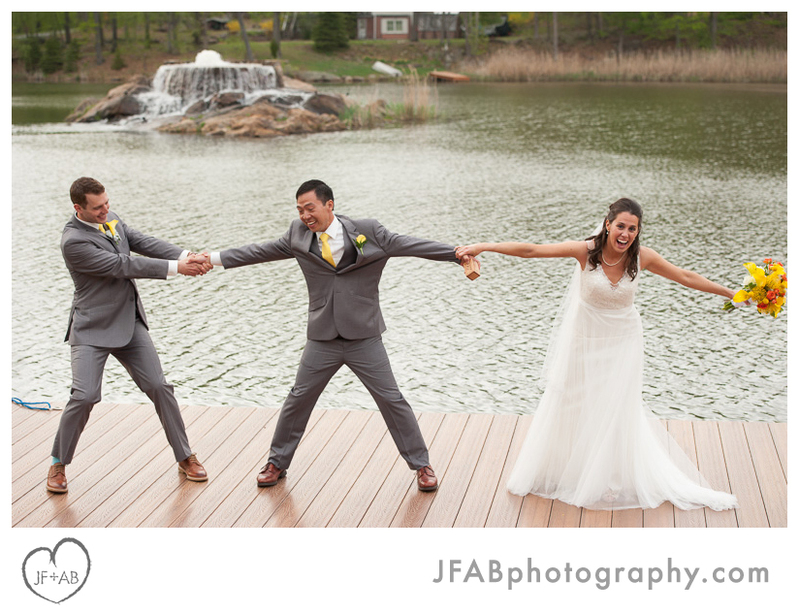 And thank you Jessica and Eric for trusting us to capture the story of your day in photos. 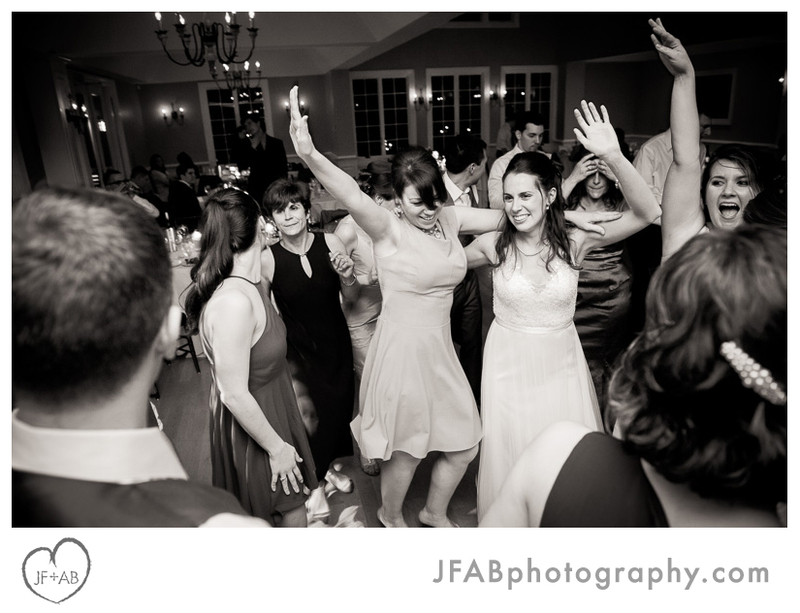 Scroll on to check out some of my favorite moments. 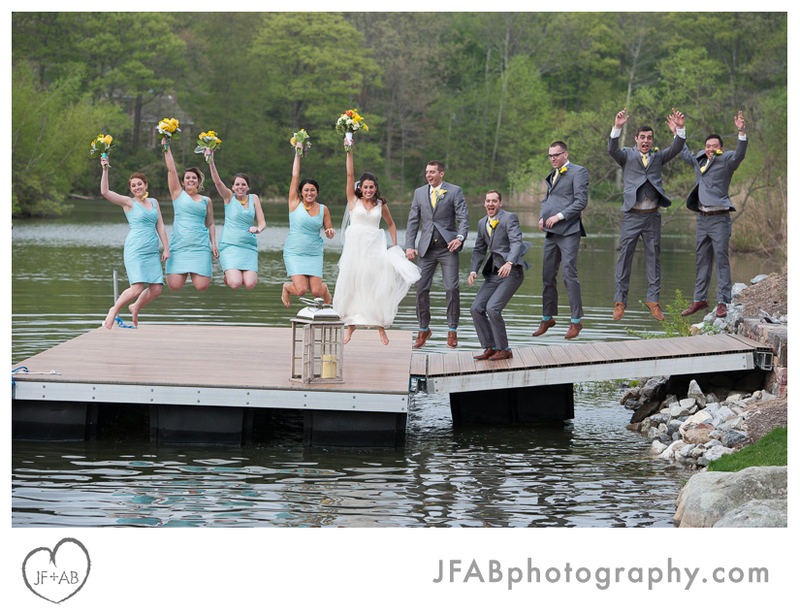 Wedding and Reception at Rock Island Lake Club in Sparta, NJ. Ceremony performed by Father Charles Lochner. 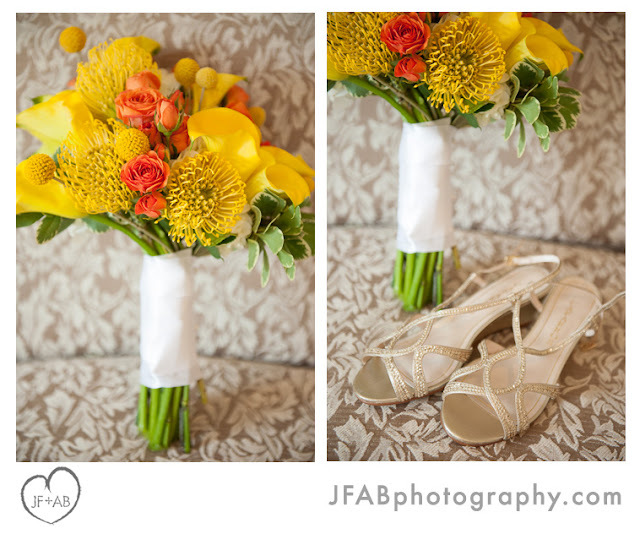 Wedding flowers by Especially for You. 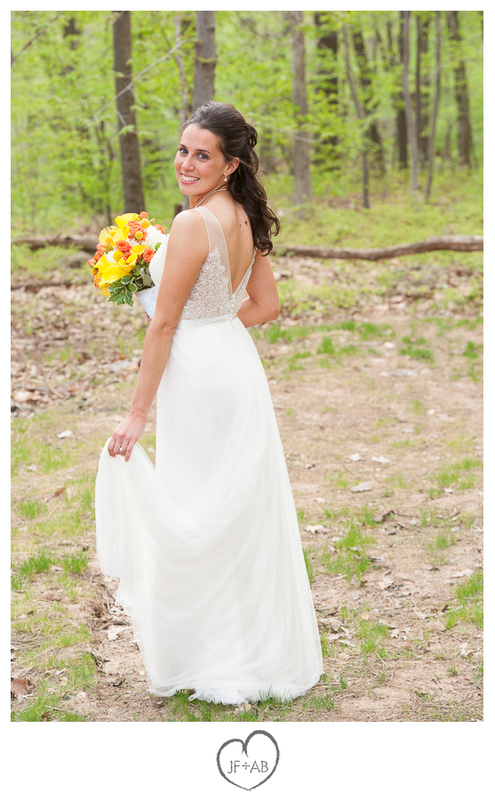 Bridal dress by Wtoo. 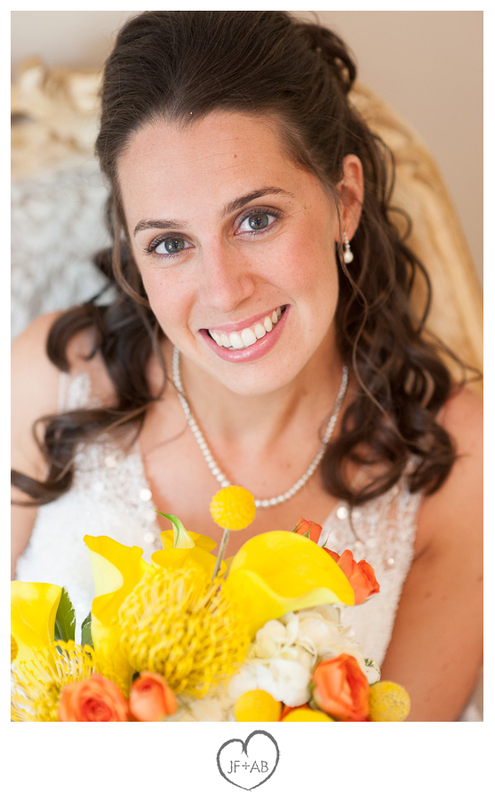 Hair and make up by Salon Serendipity, Sparta, NJ. Wedding cake by Palermo's Bakery, Ridgefield Park, NJ. 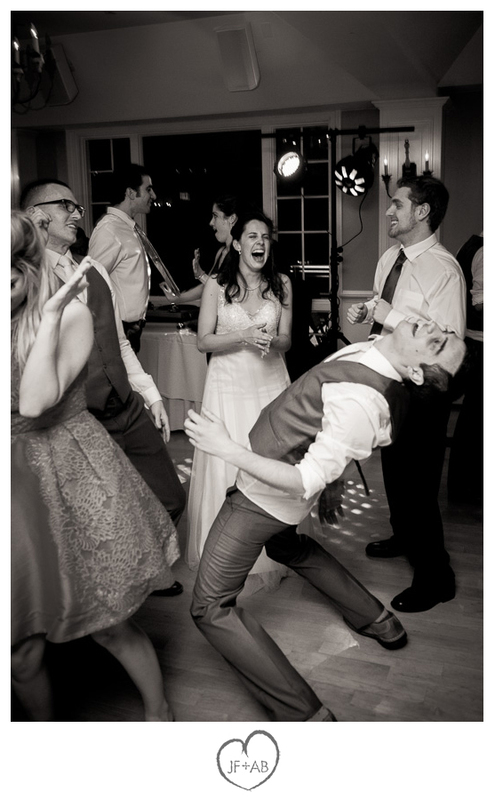 Entertainment by DJ Kevin Meyers.